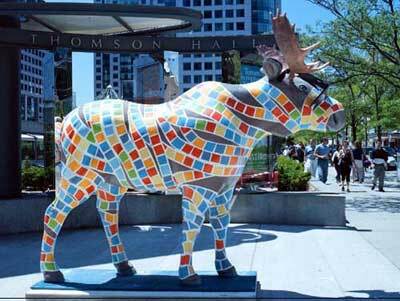 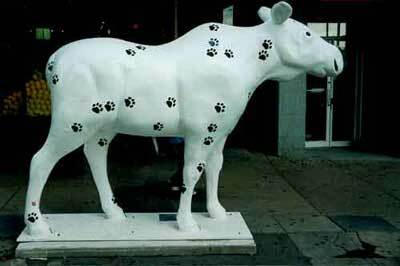 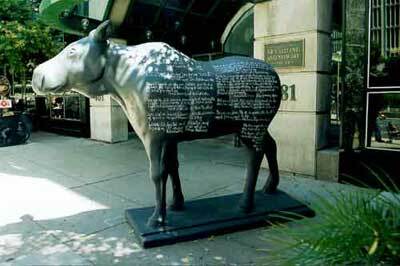 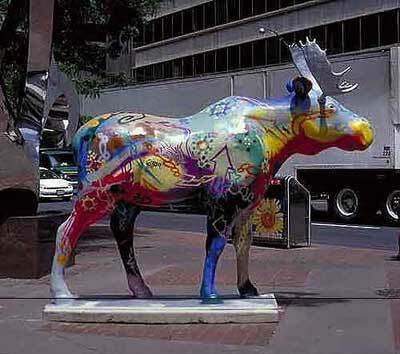 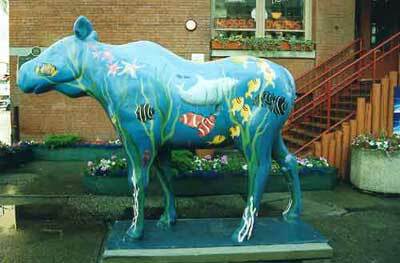 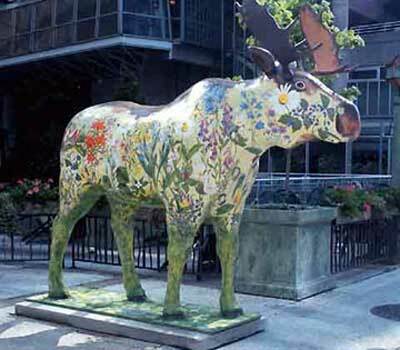 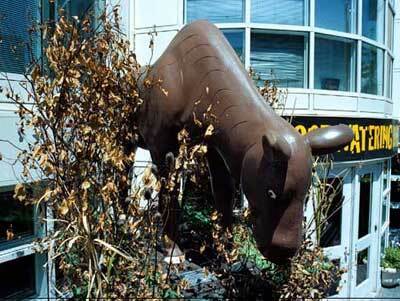 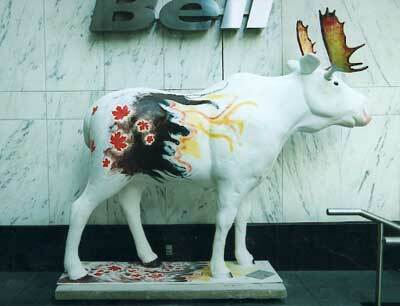 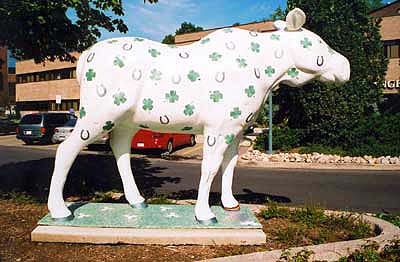 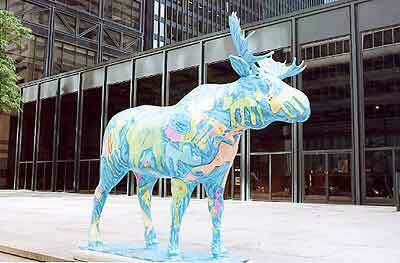 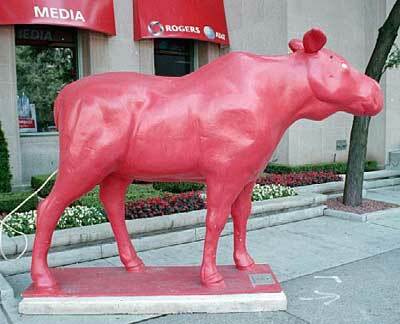 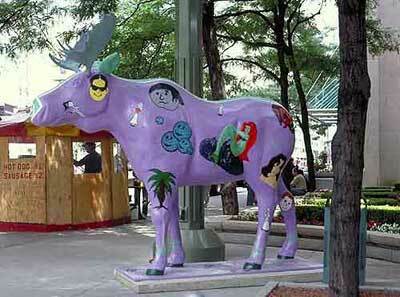 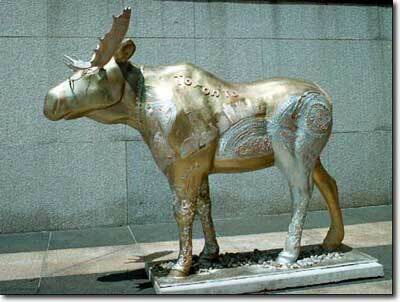 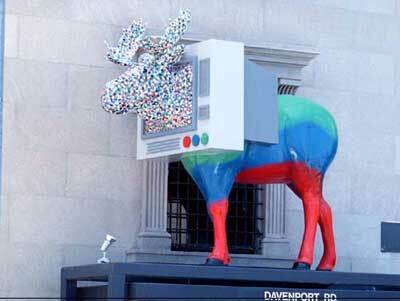 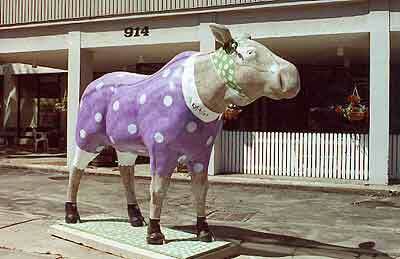 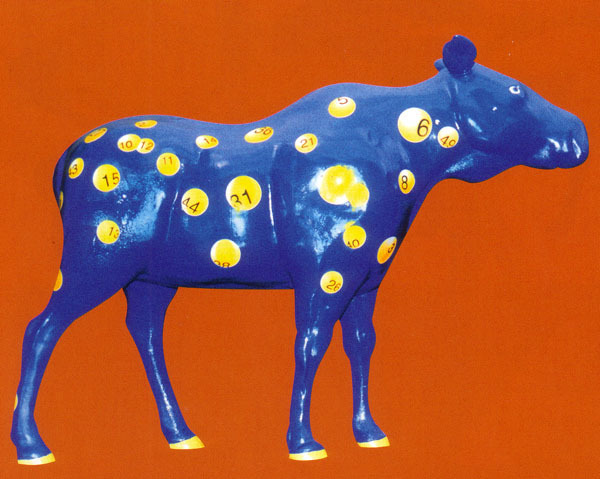 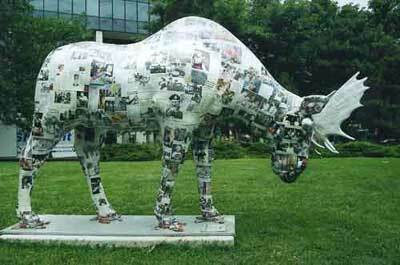 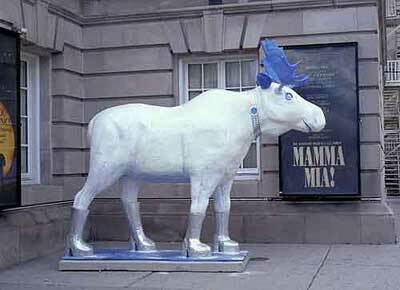 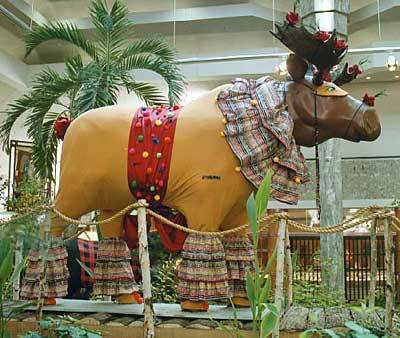 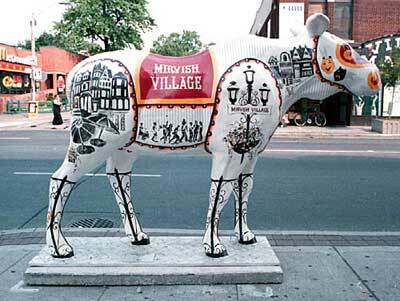 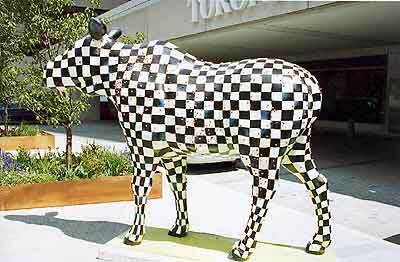 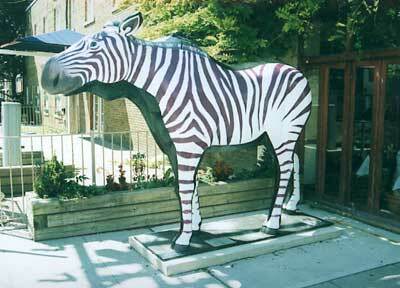 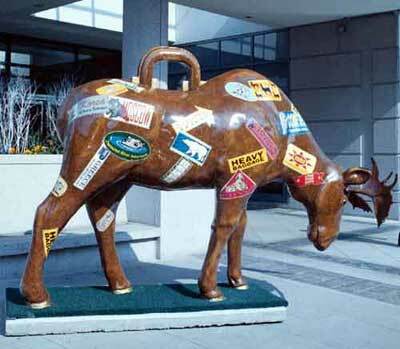 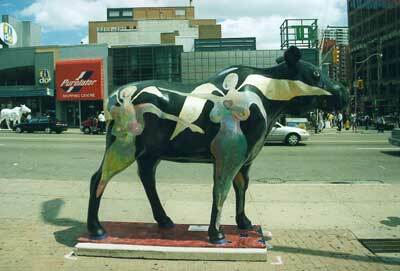 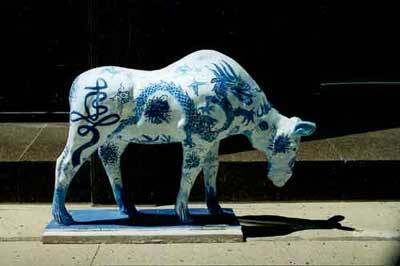 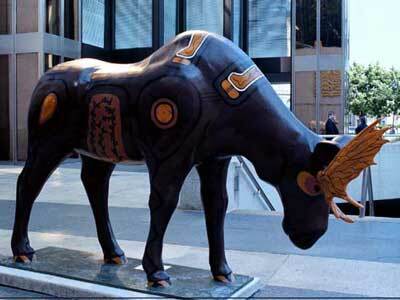 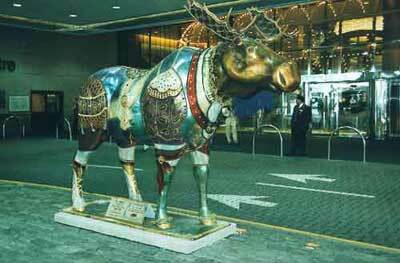 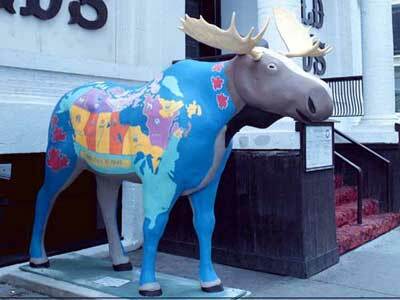 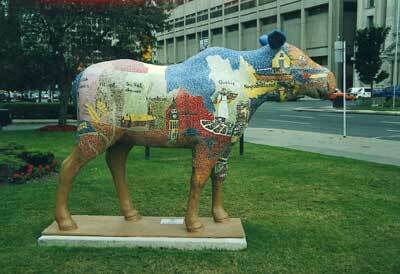 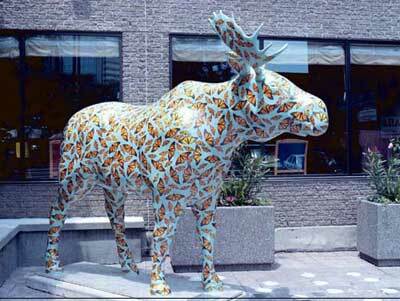 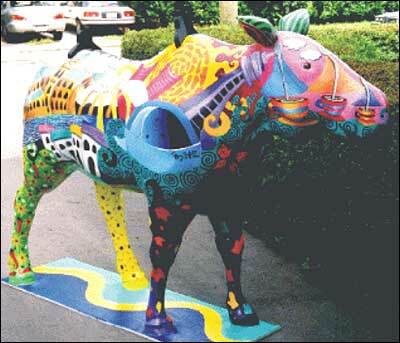 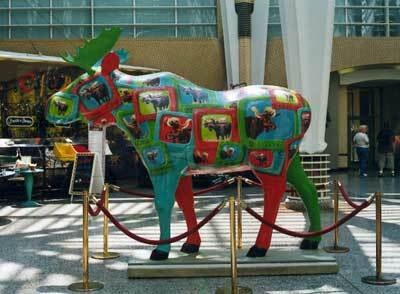 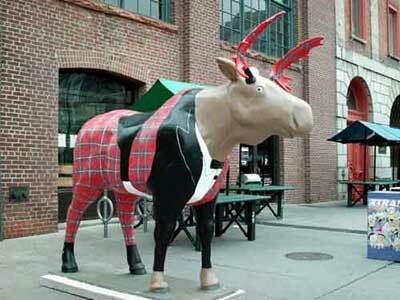 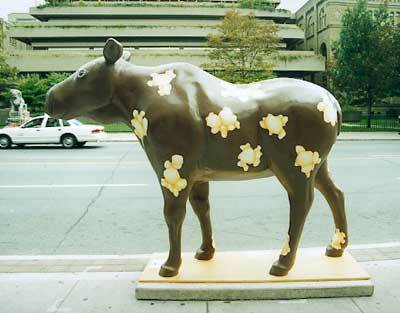 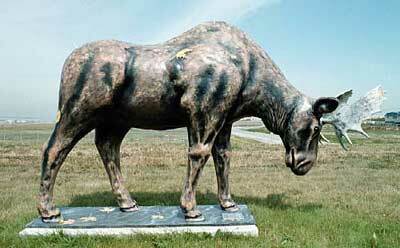 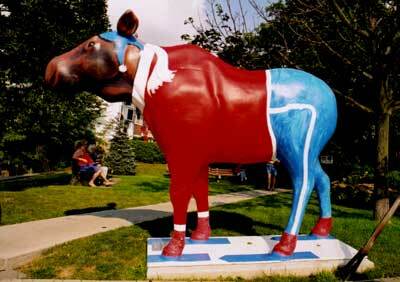 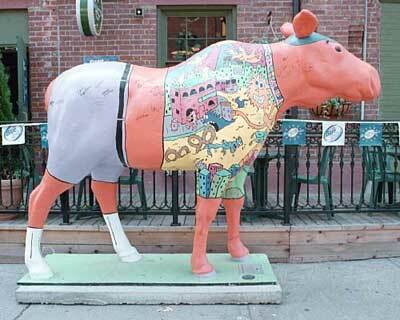 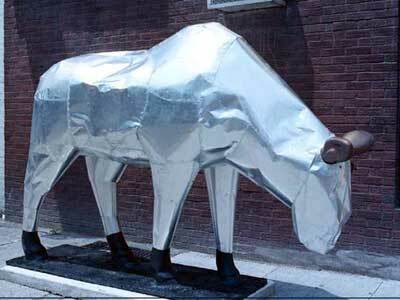 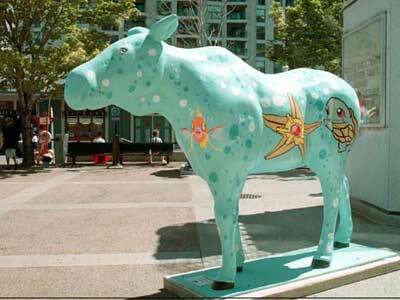 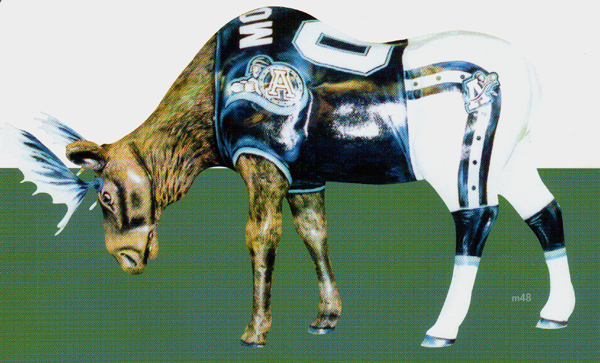 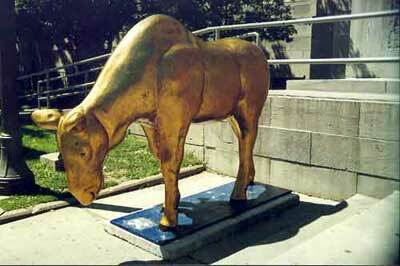 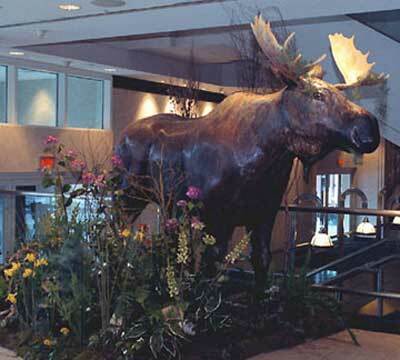 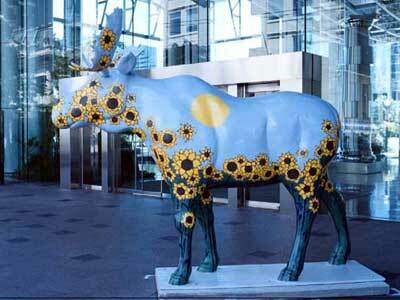 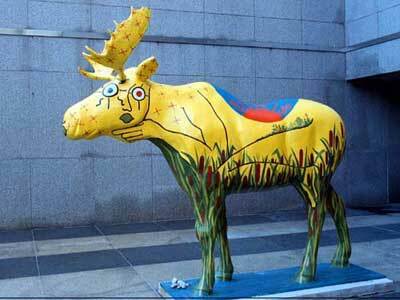 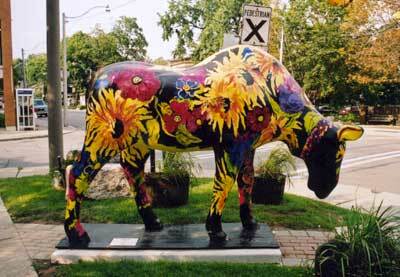 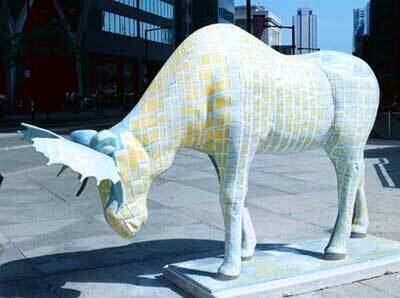 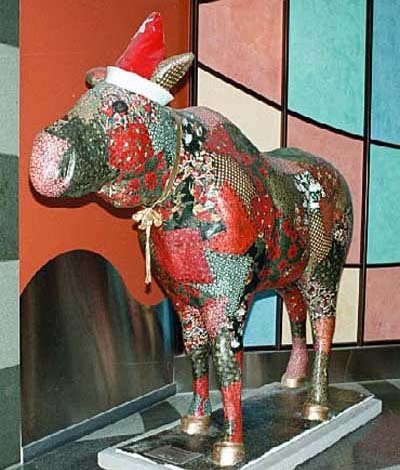 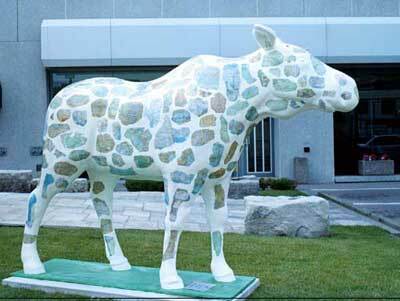 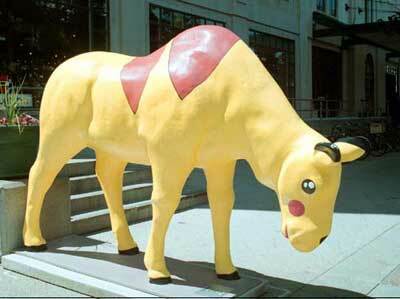 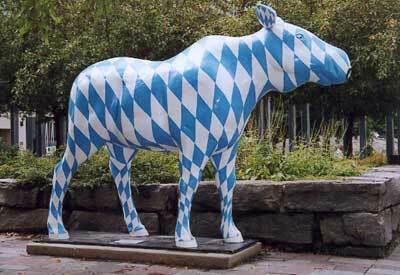 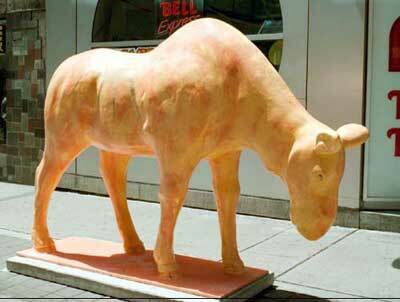 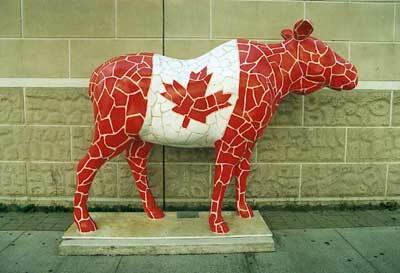 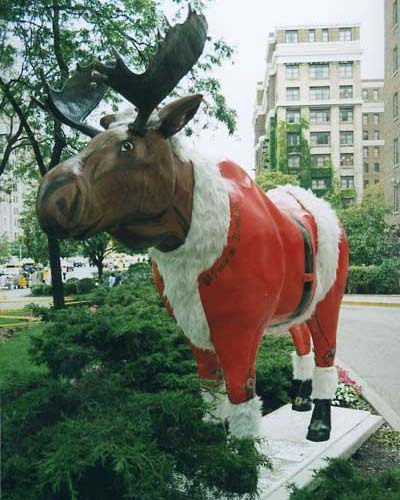 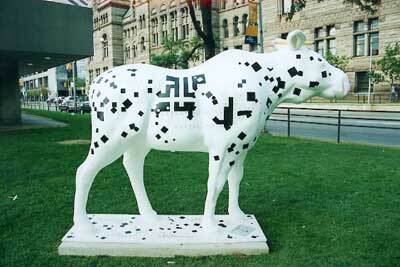 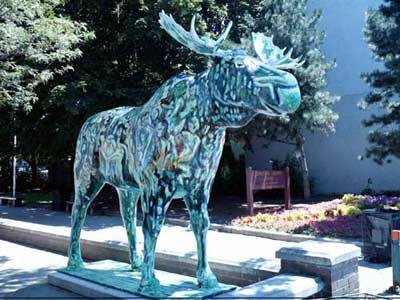 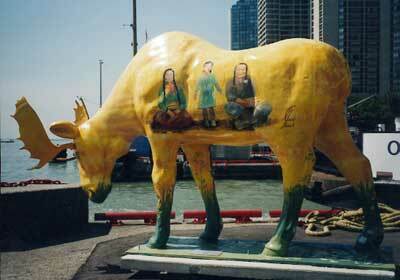 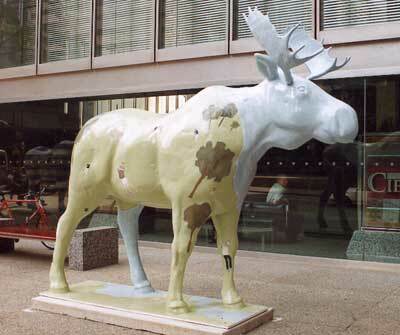 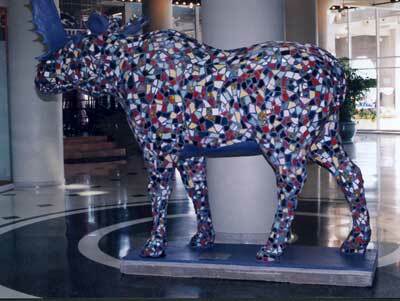 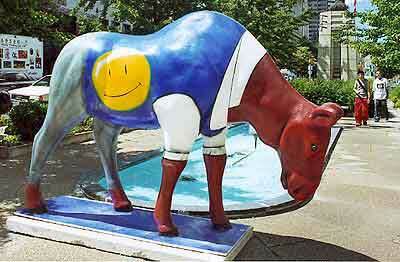 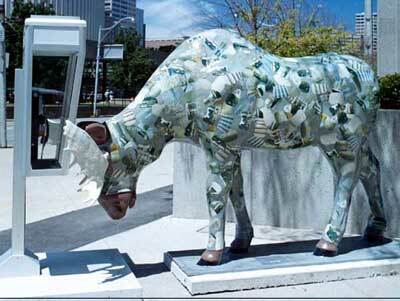 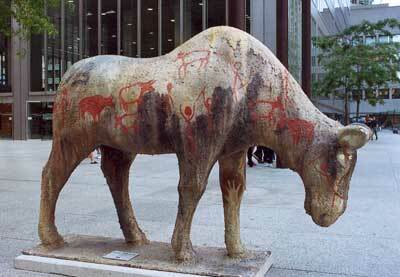 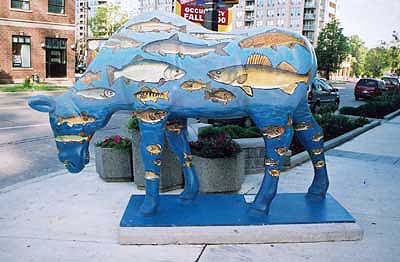 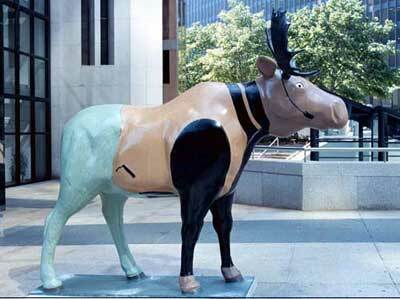 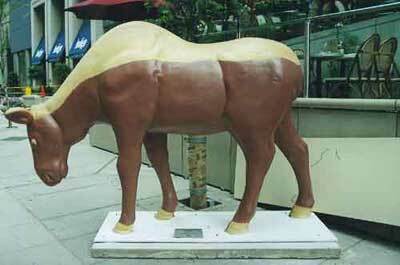 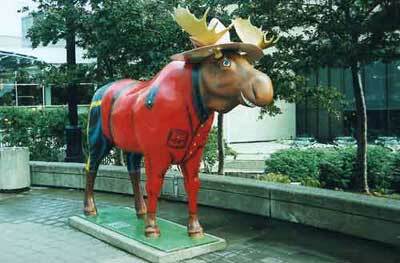 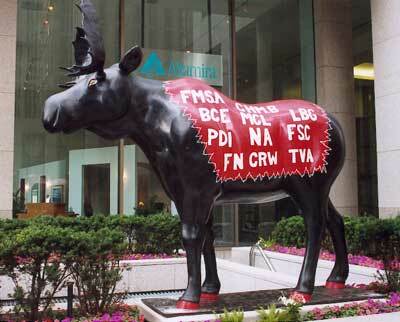 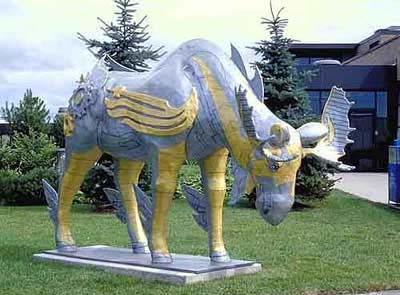 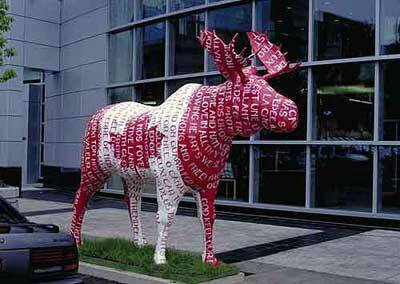 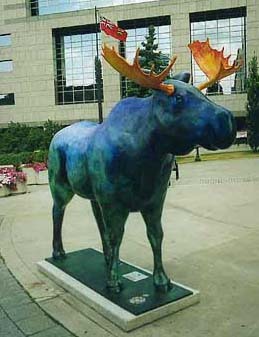 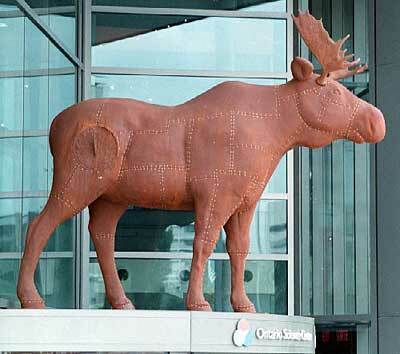 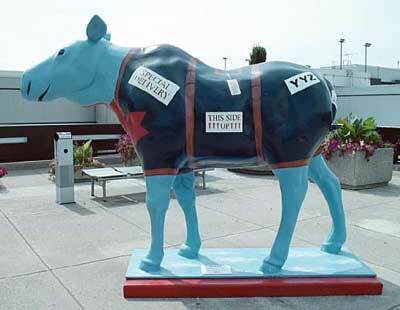 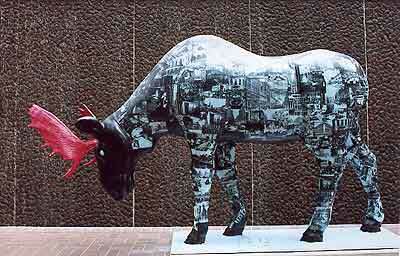 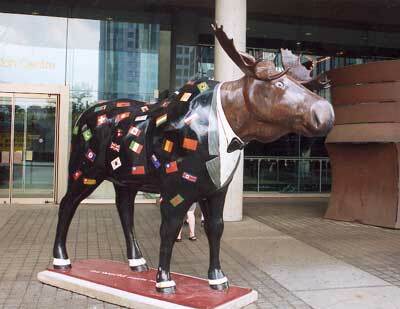 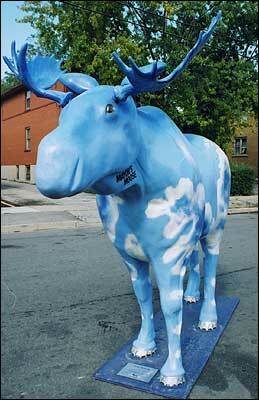 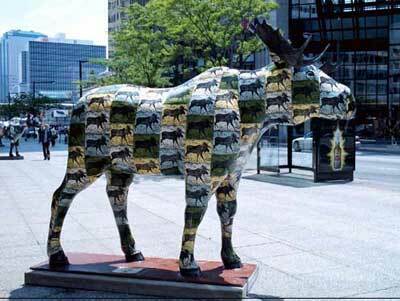 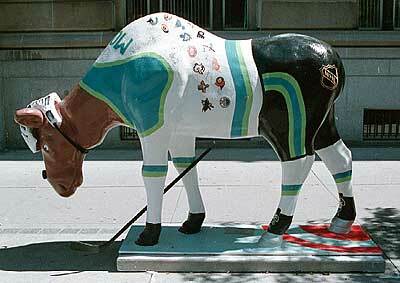 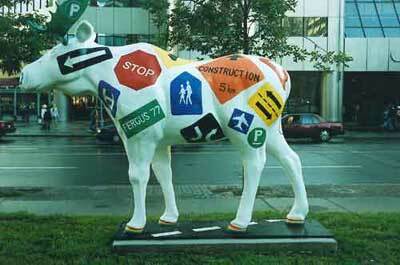 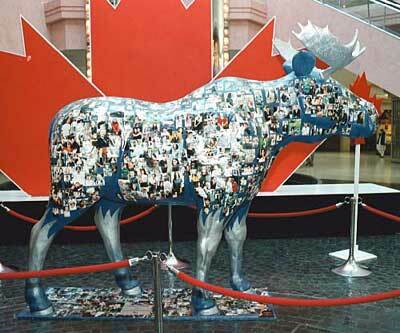 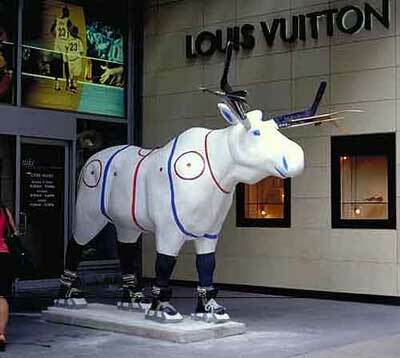 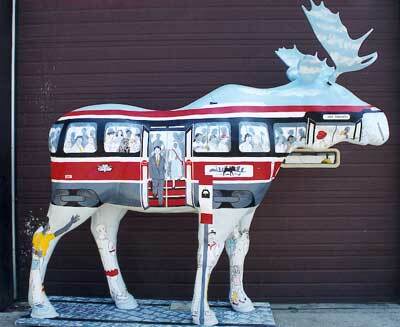 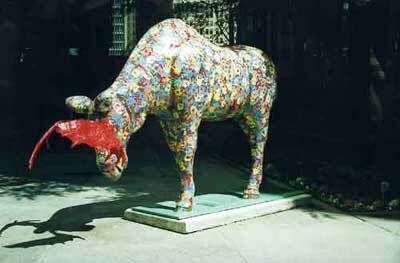 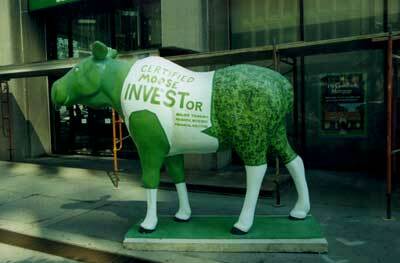 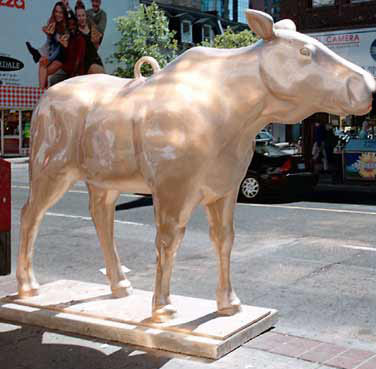 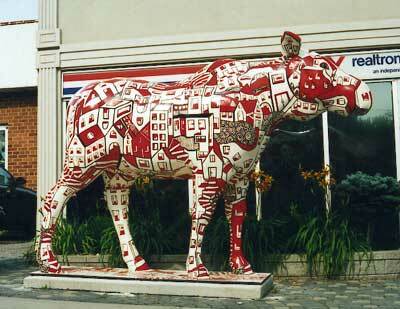 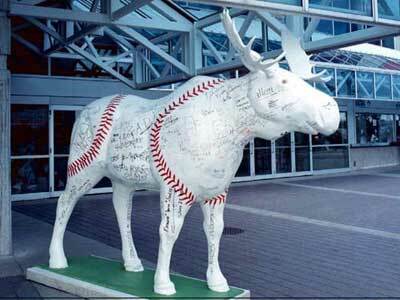 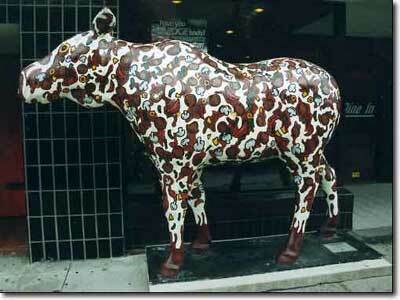 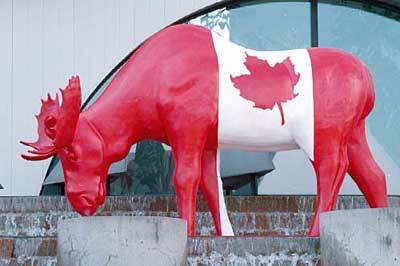 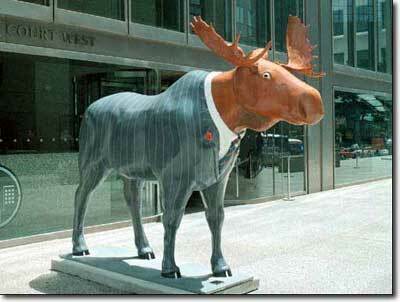 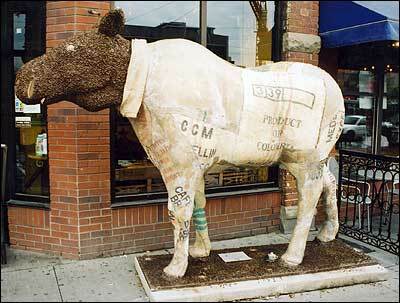 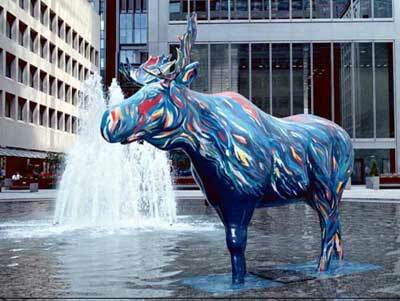 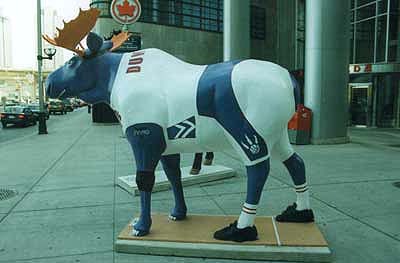 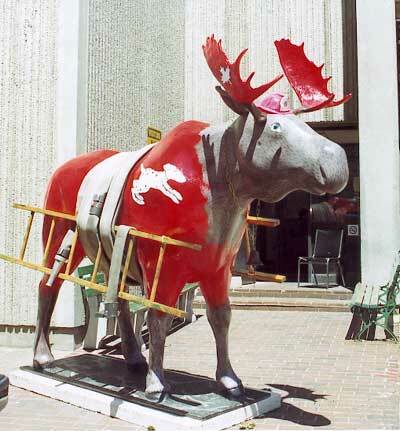 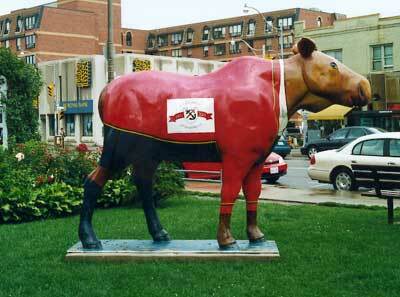 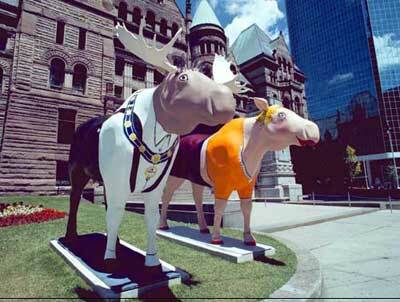 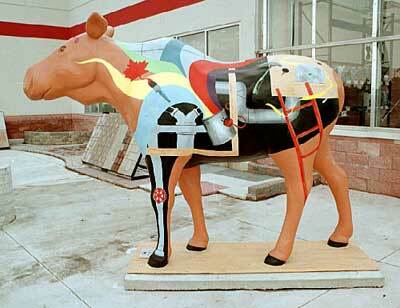 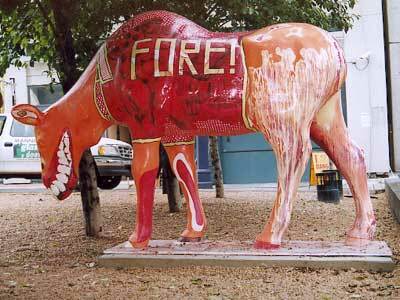 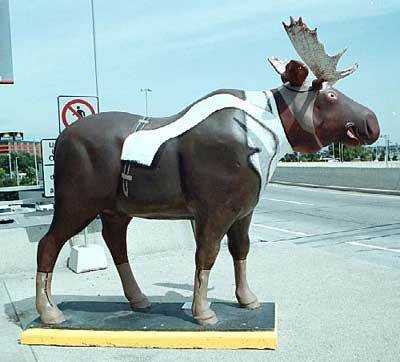 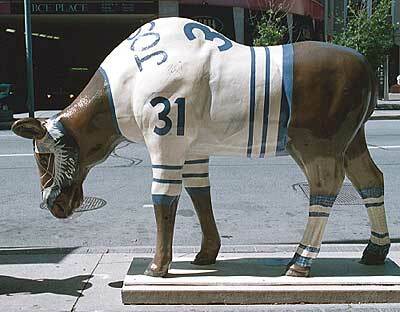 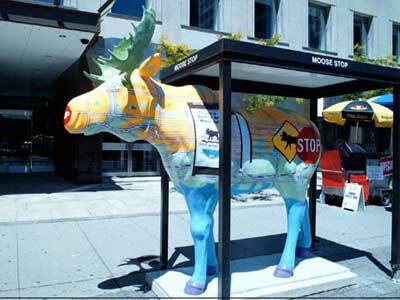 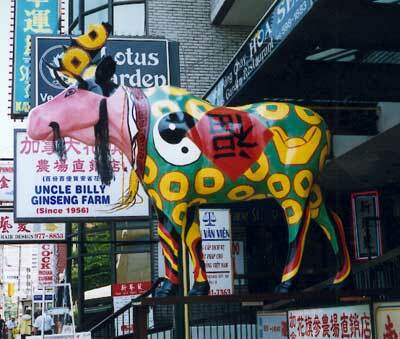 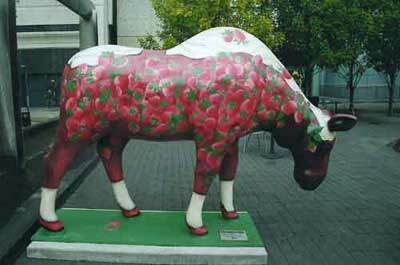 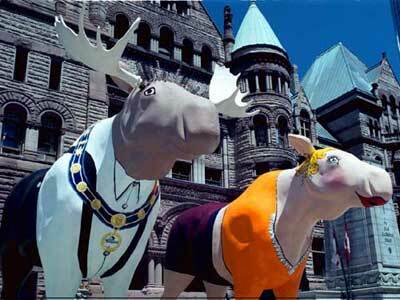 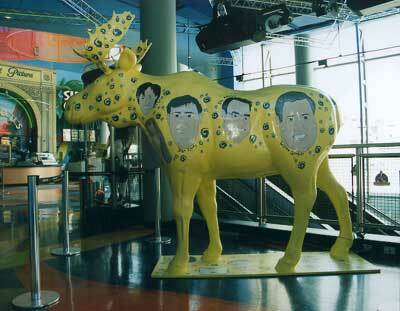 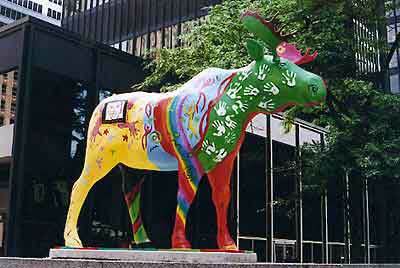 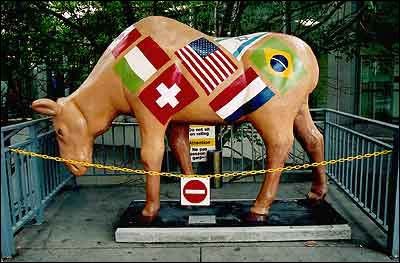 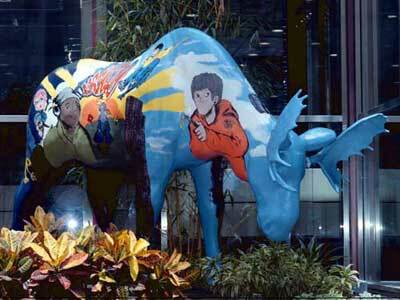 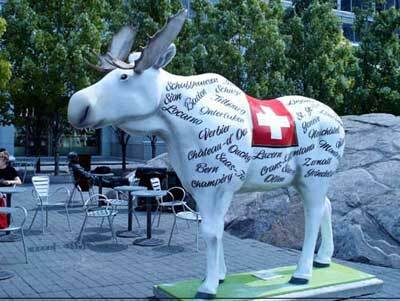 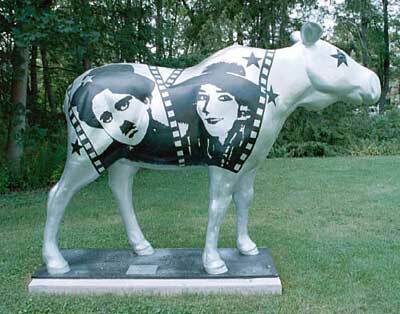 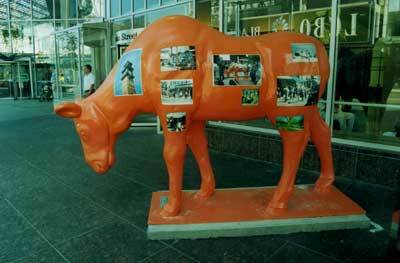 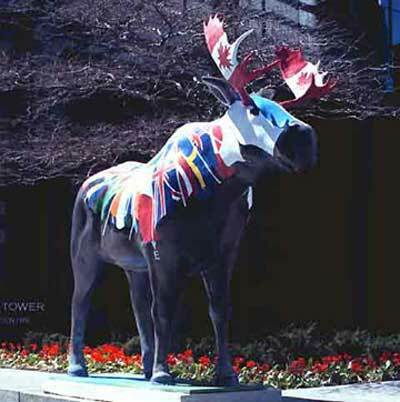 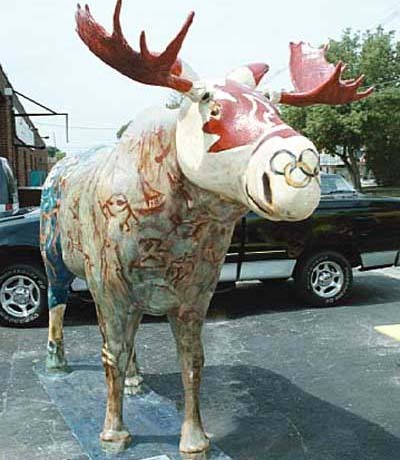 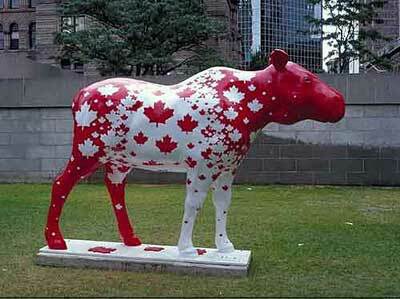 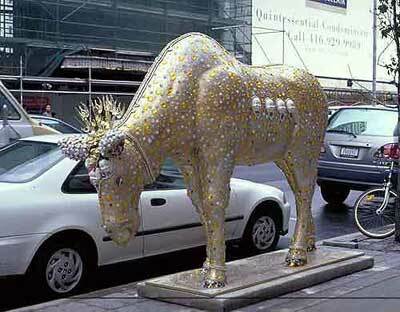 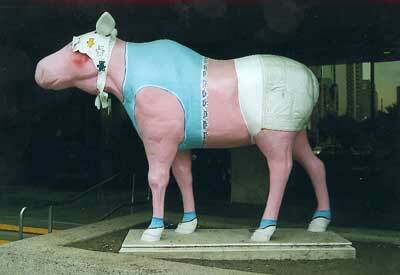 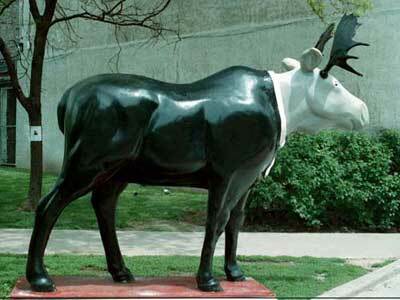 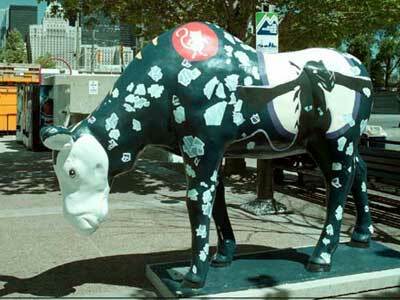 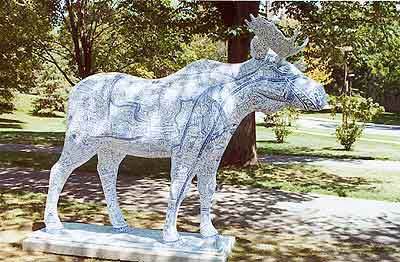 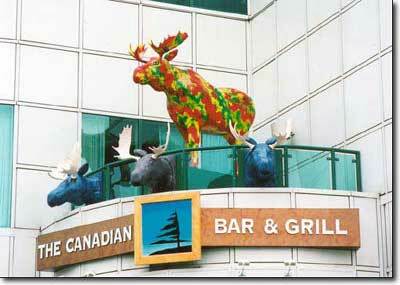 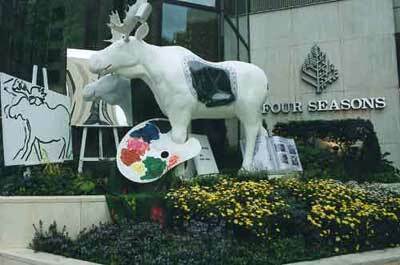 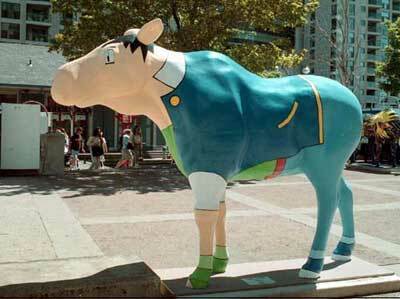 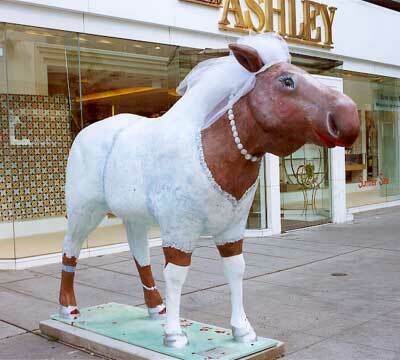 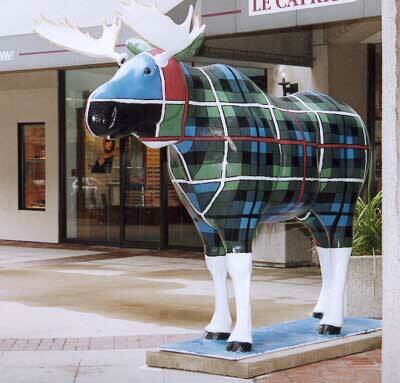 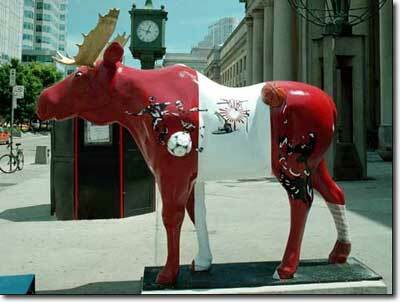 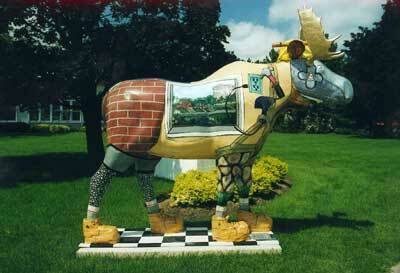 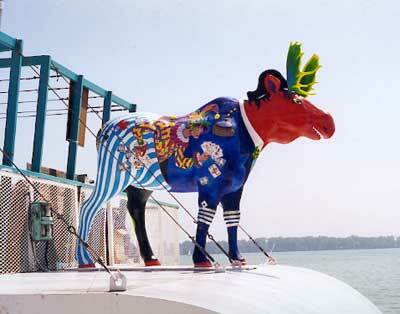 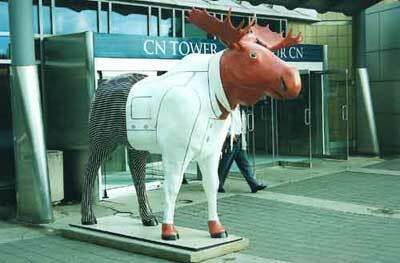 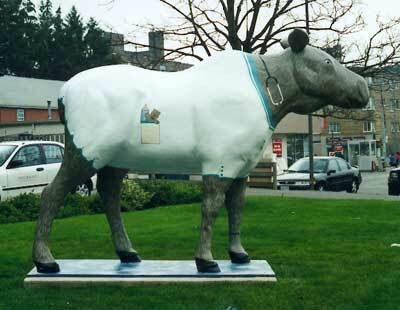 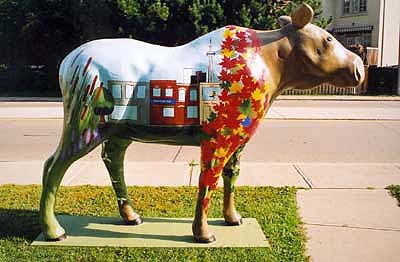 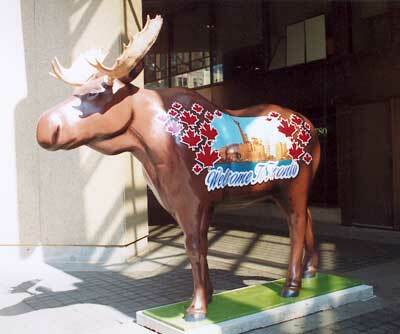 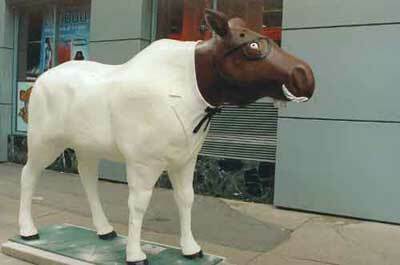 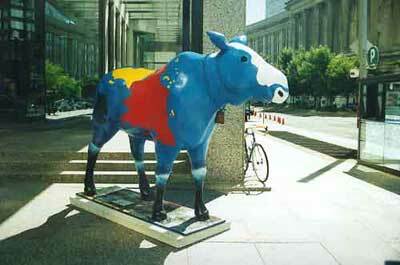 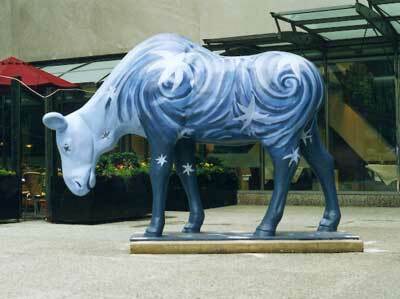 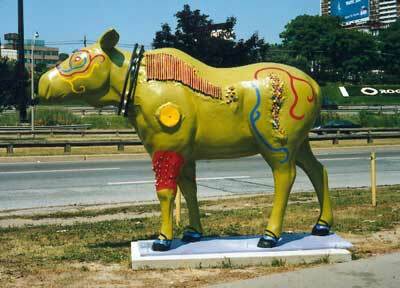 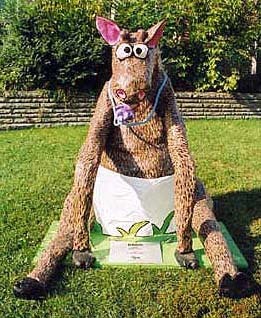 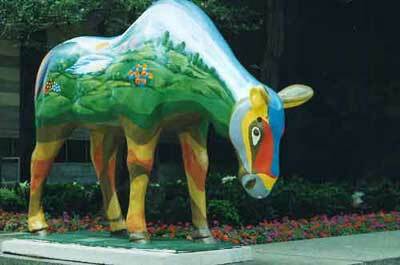 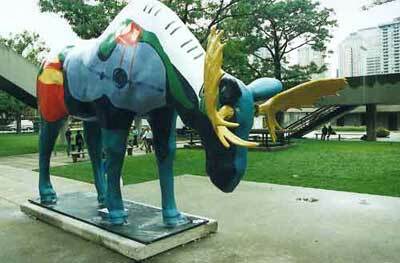 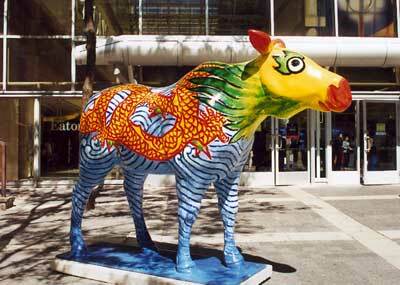 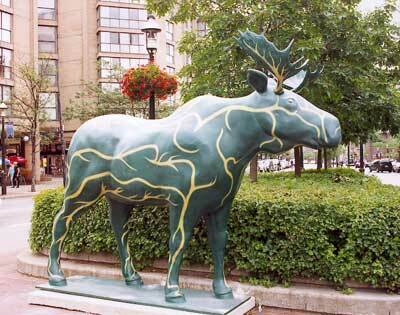 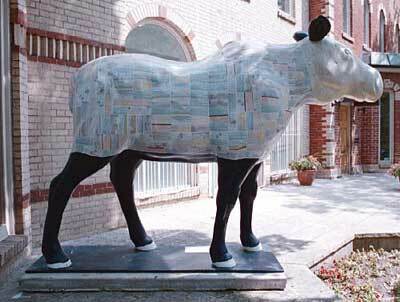 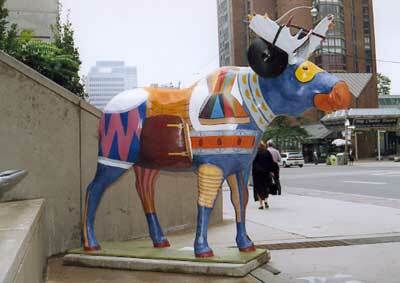 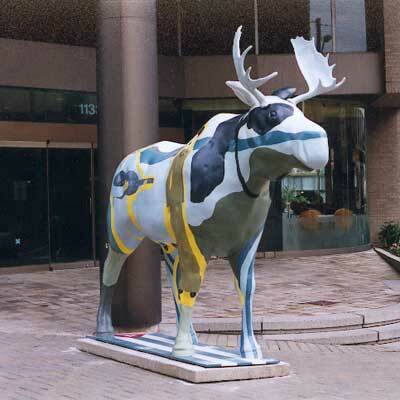 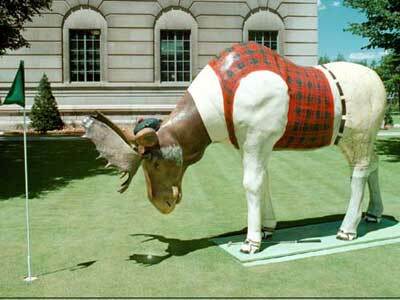 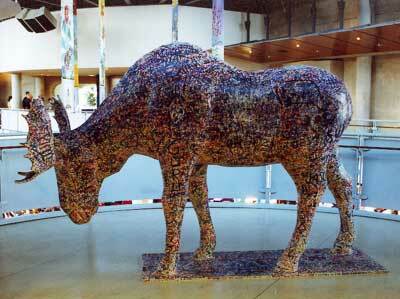 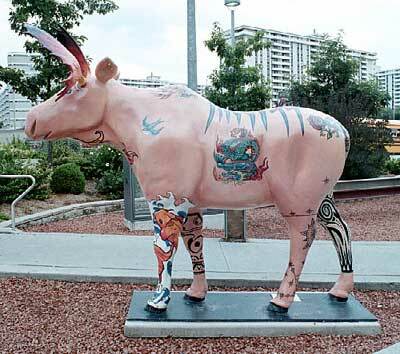 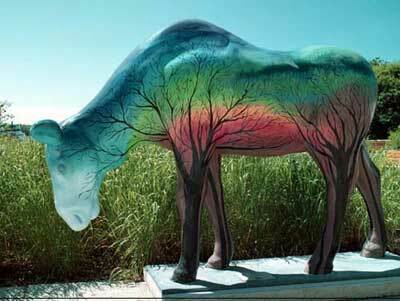 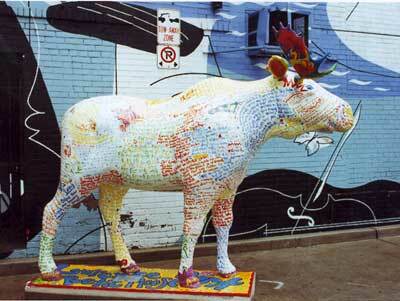 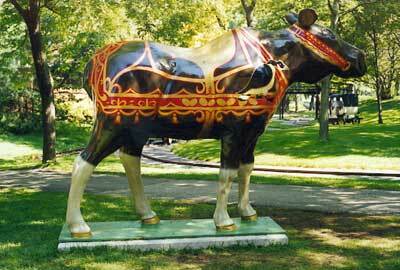 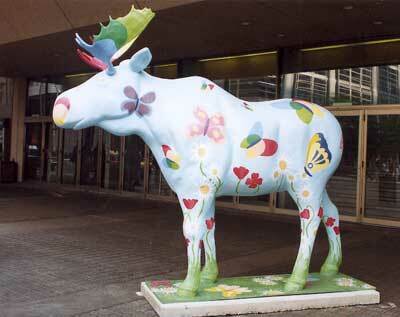 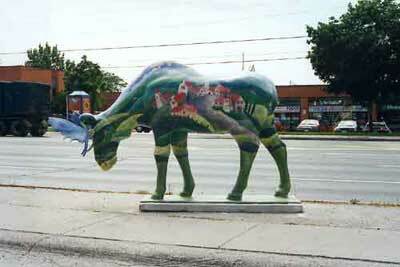 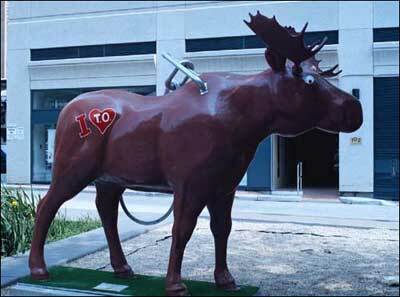 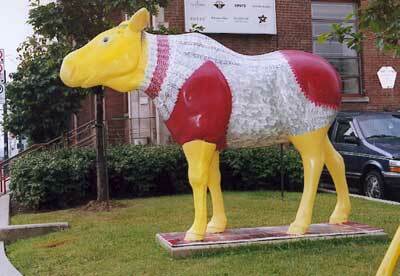 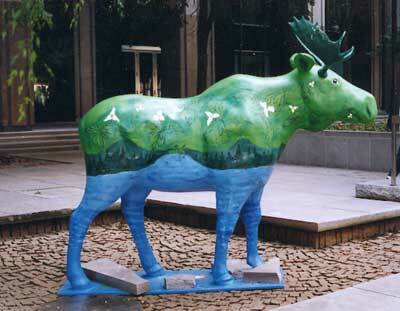 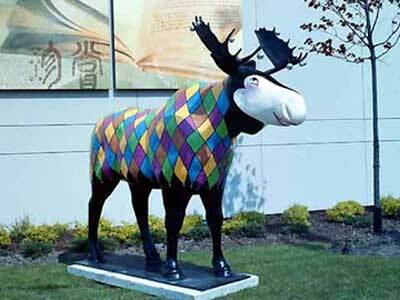 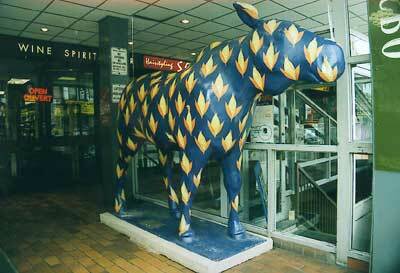 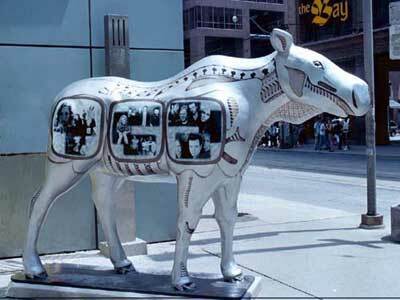 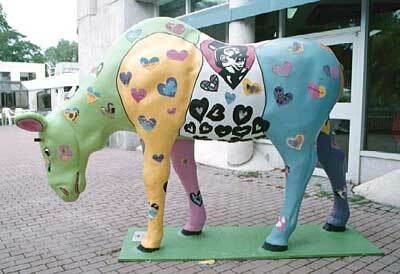 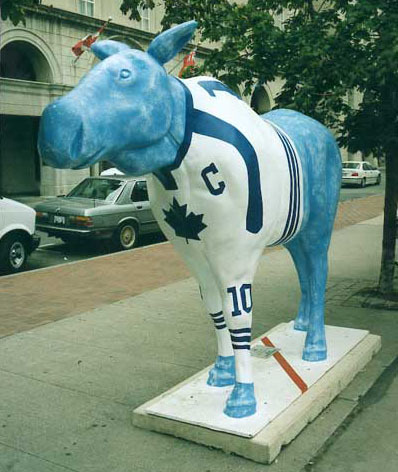 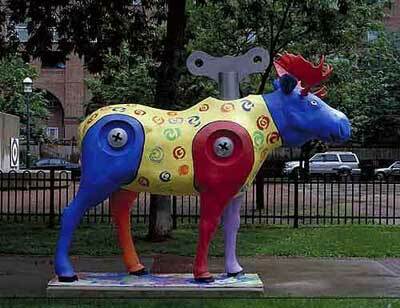 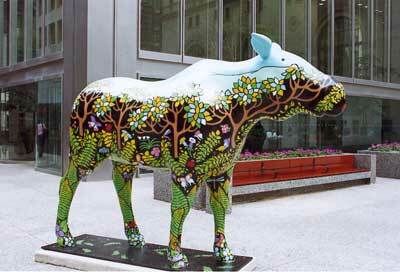 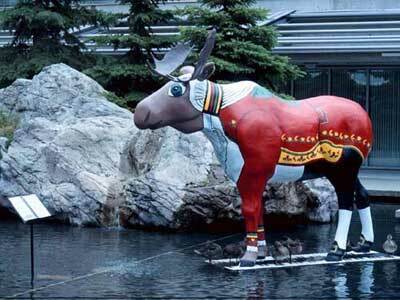 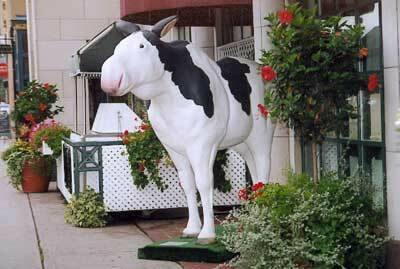 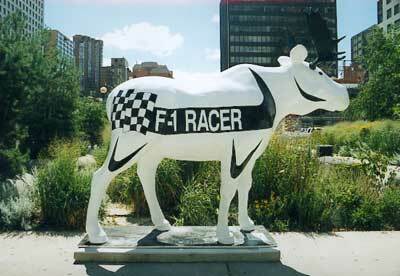 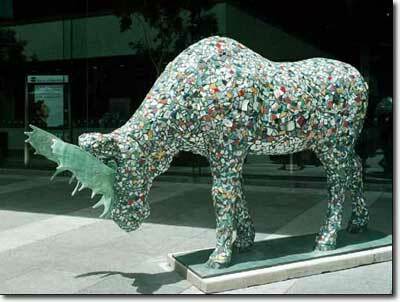 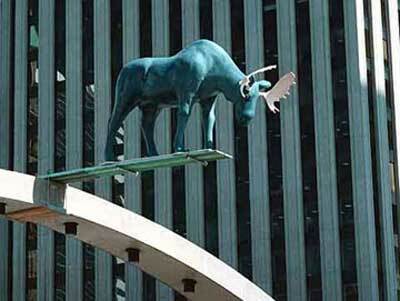 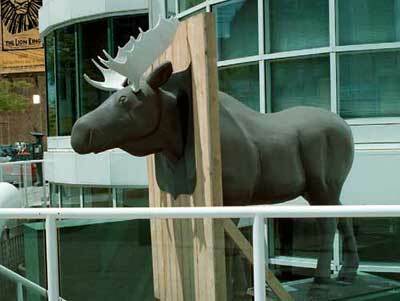 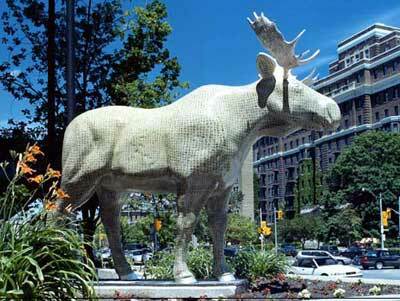 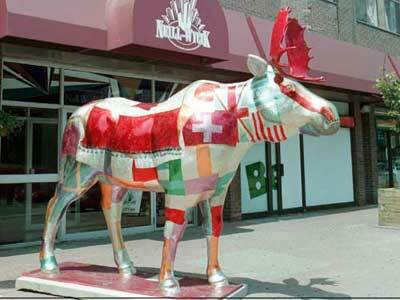 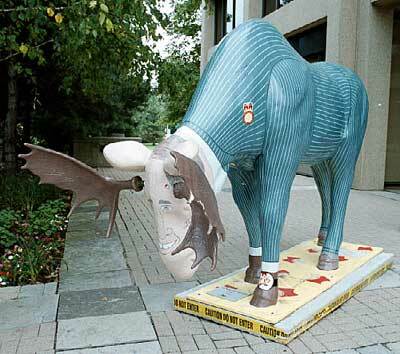 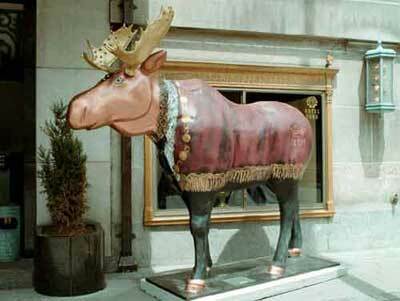 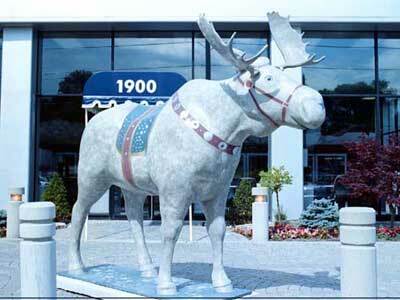 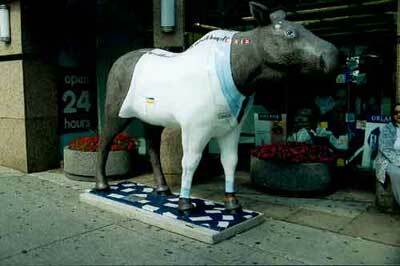 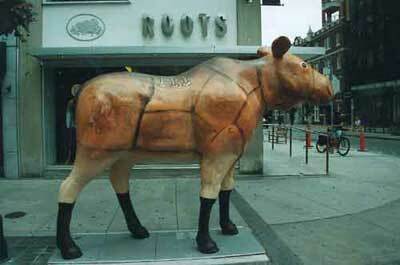 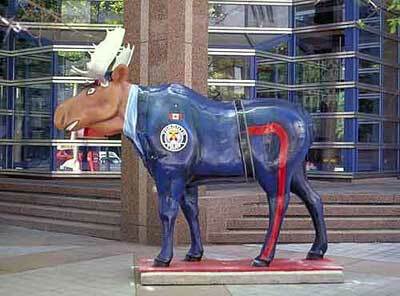 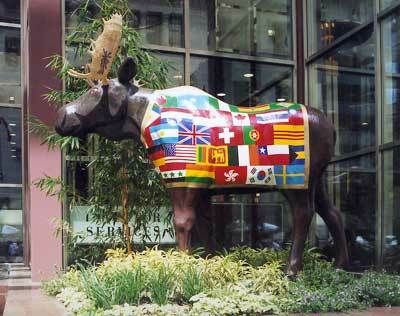 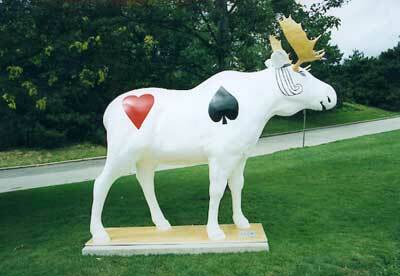 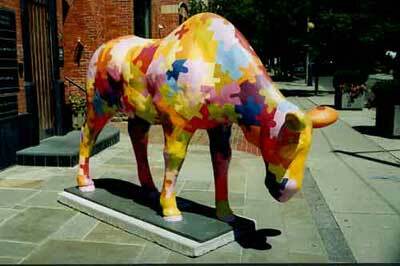 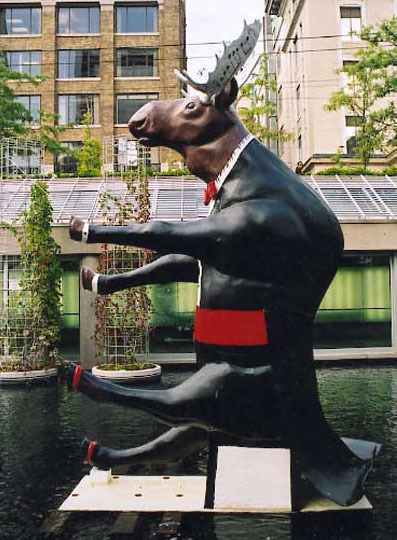 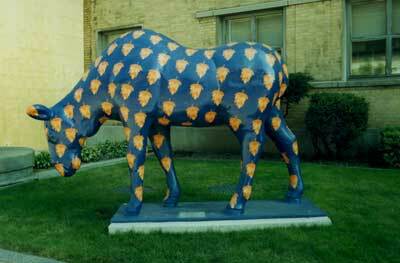 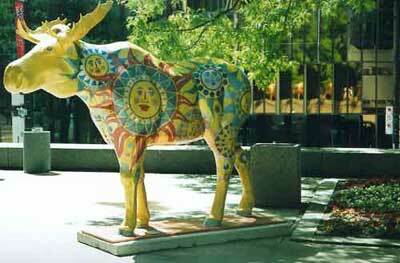 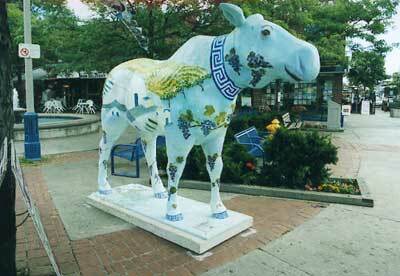 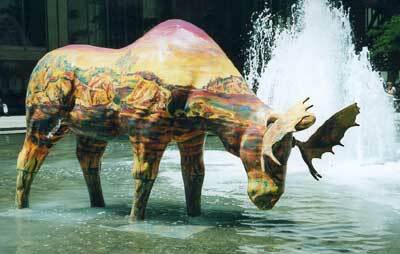 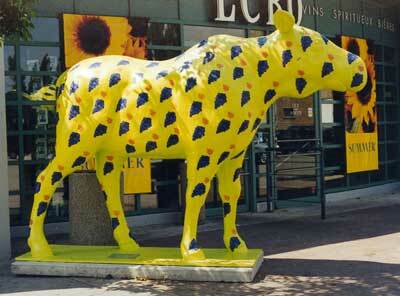 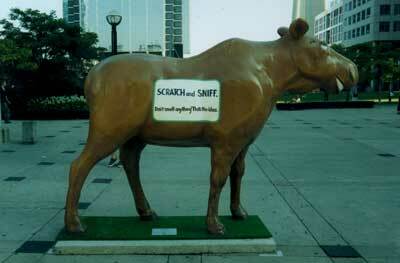 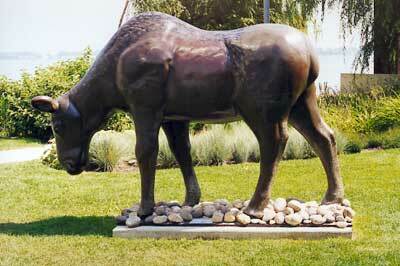 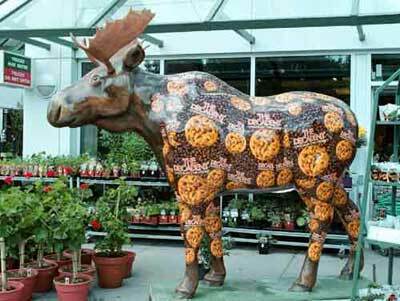 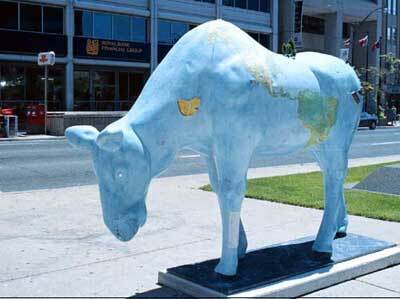 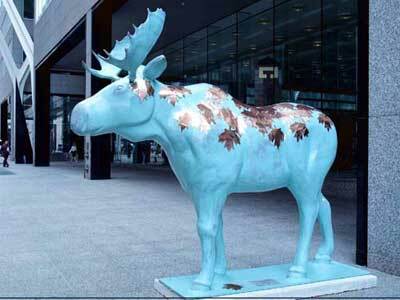 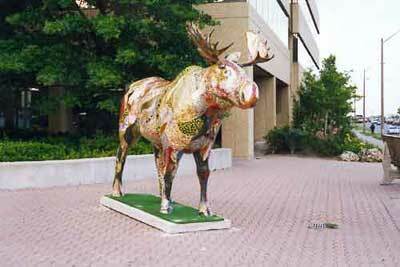 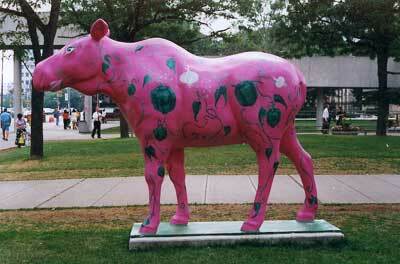 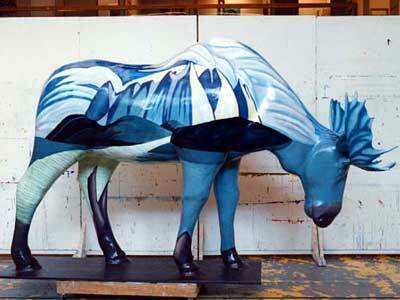 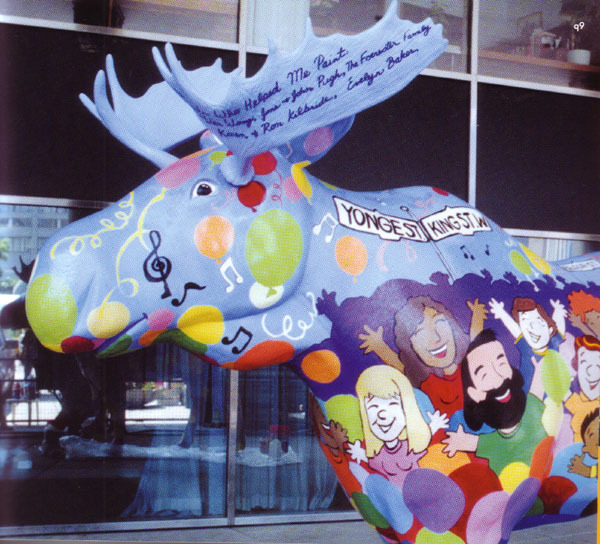 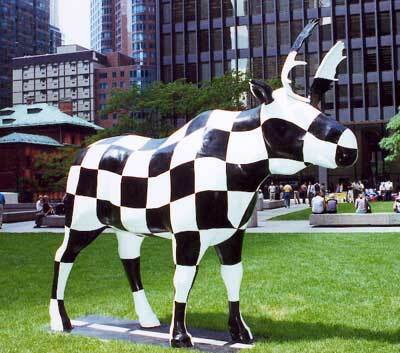 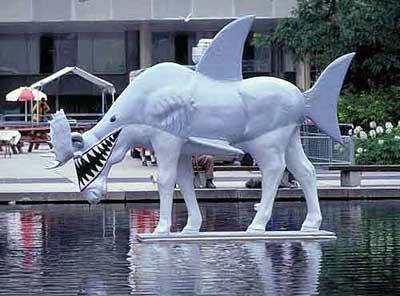 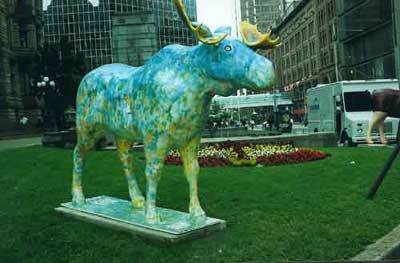 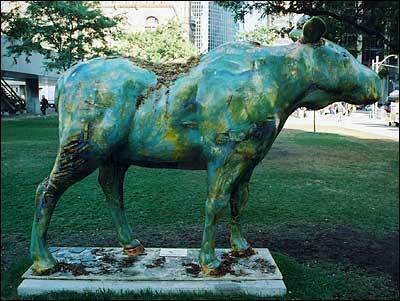 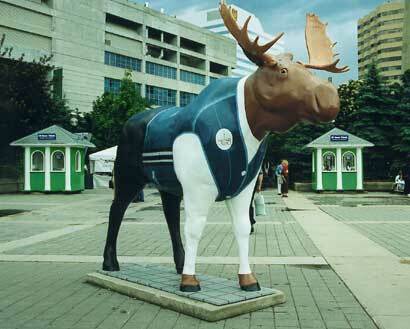 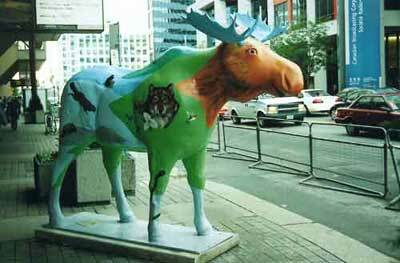 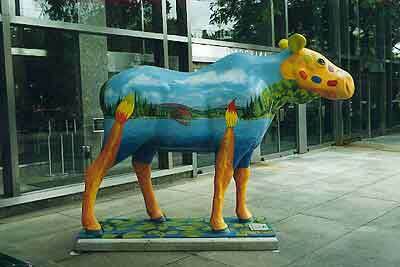 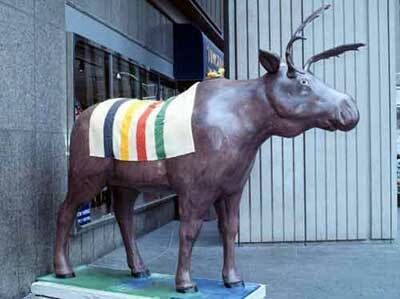 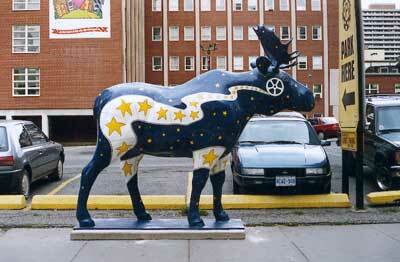 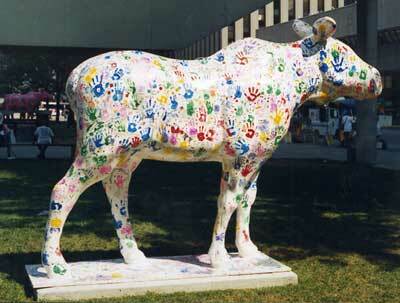 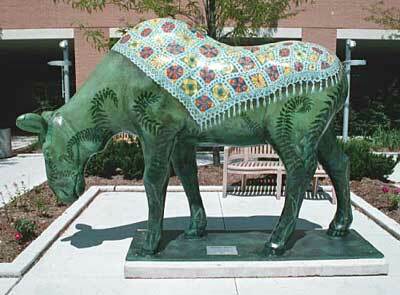 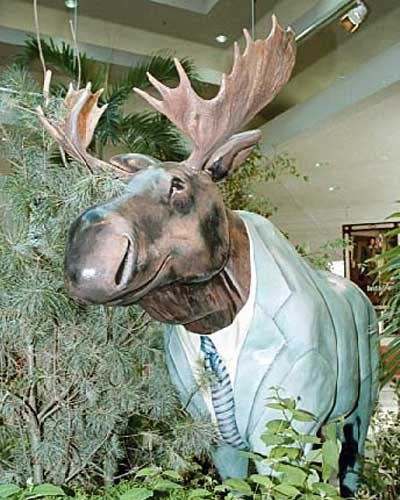 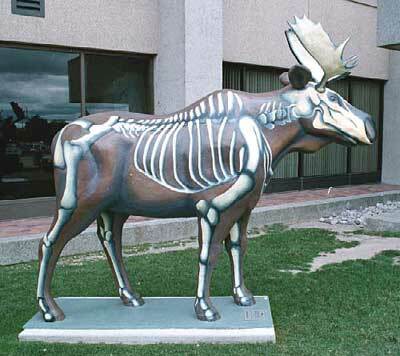 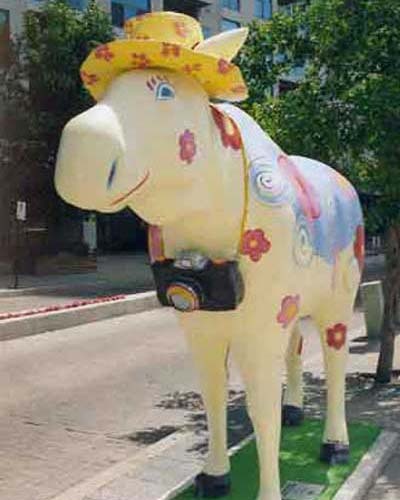 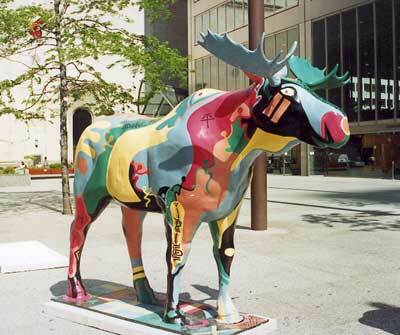 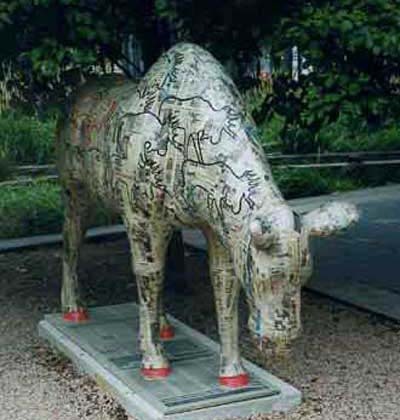 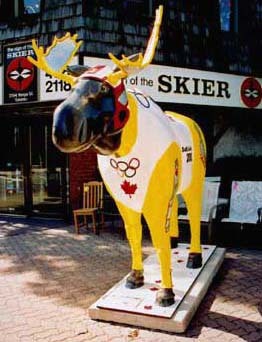 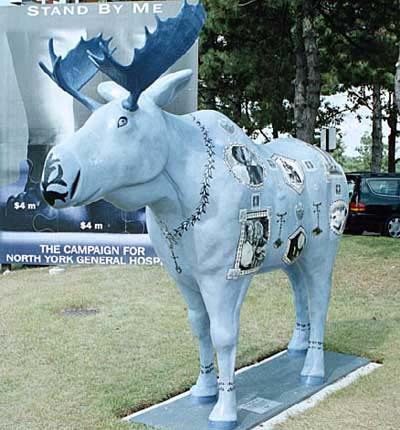 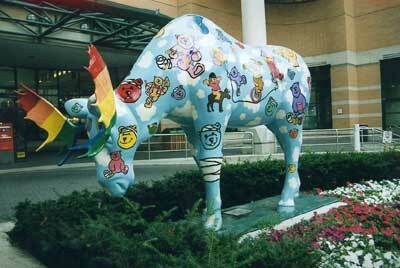 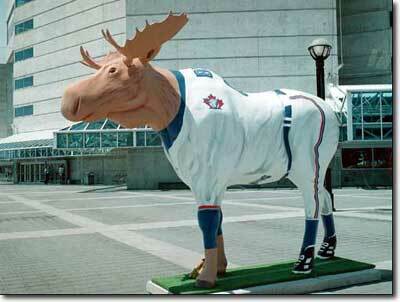 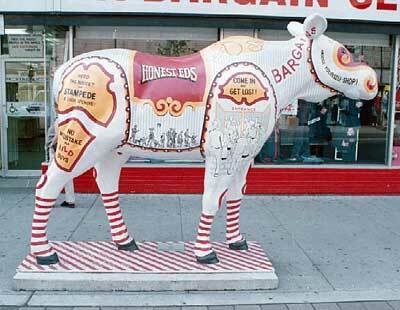 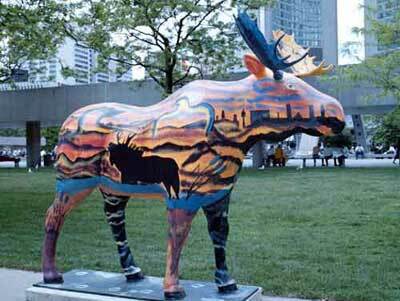 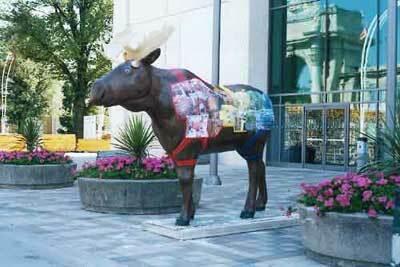 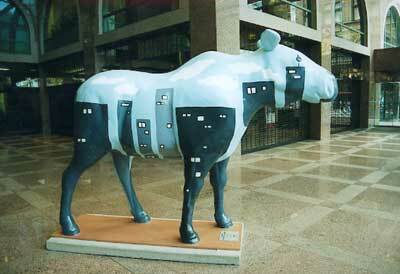 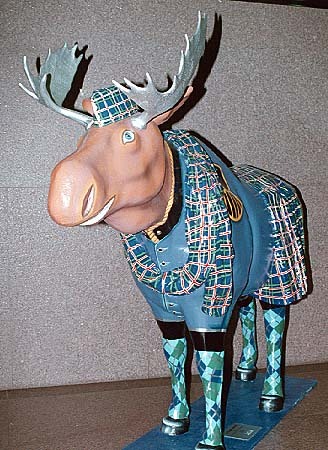 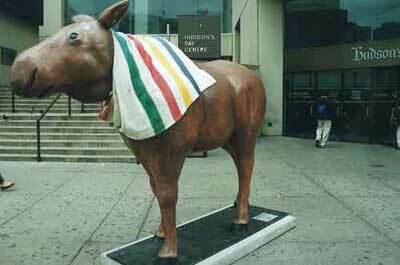 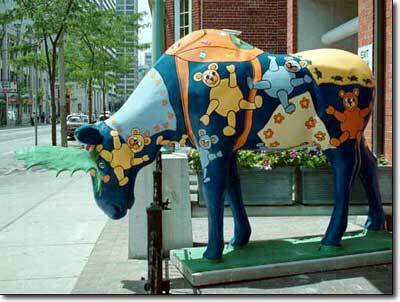 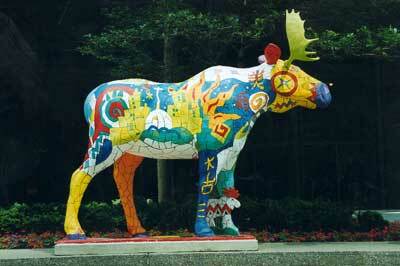 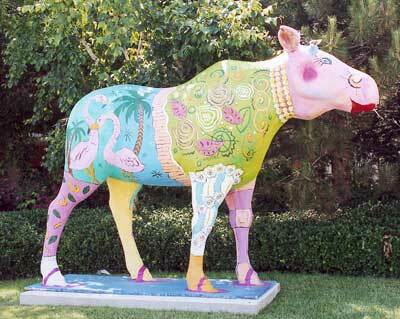 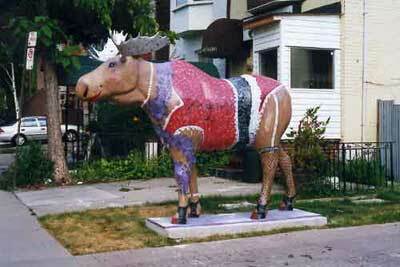 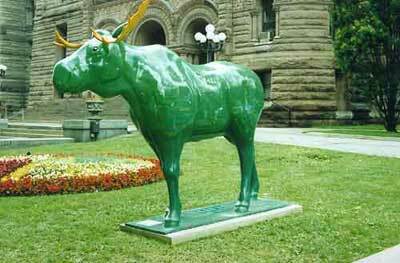 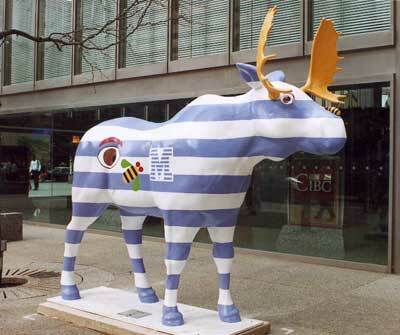 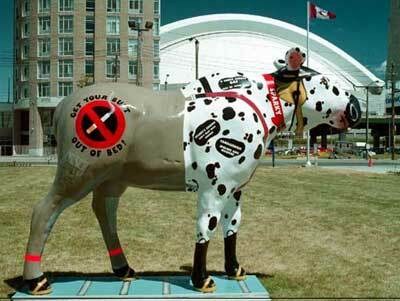 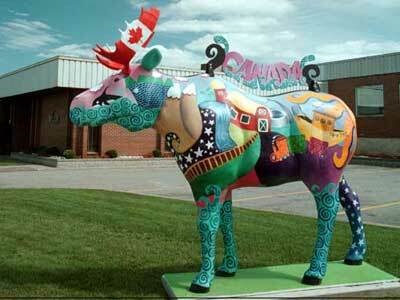 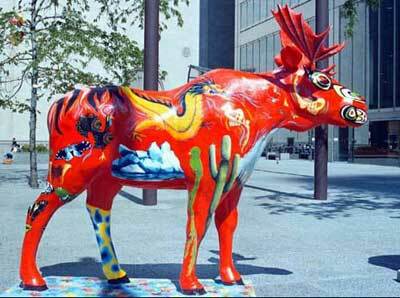 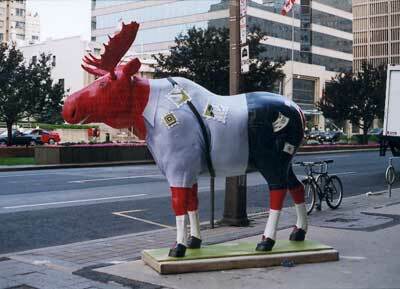 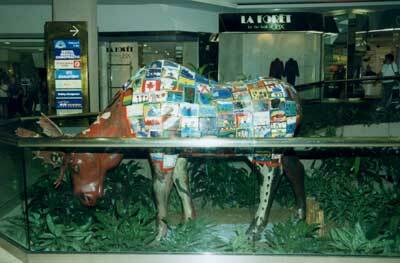 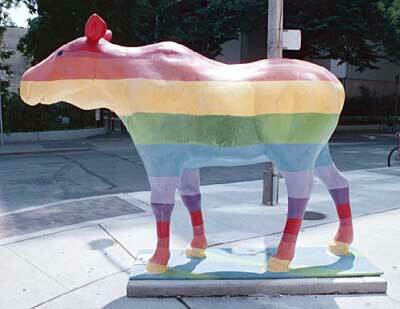 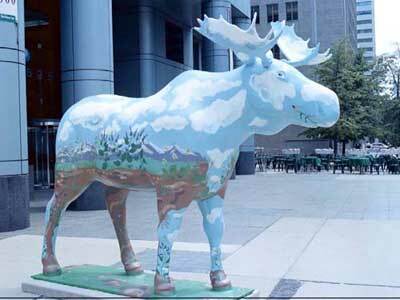 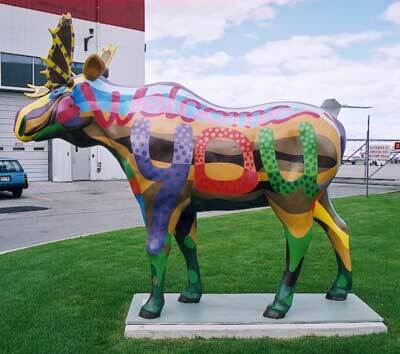 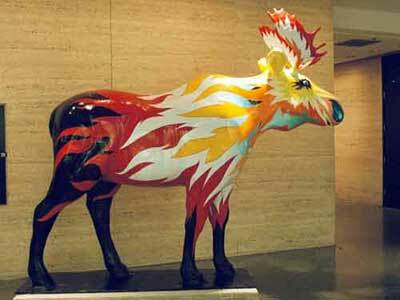 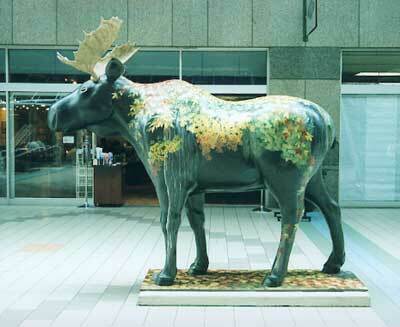 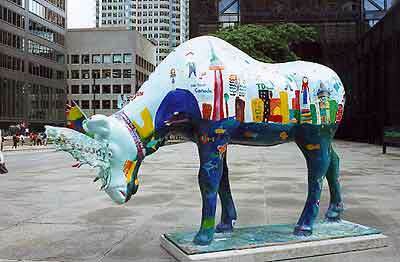 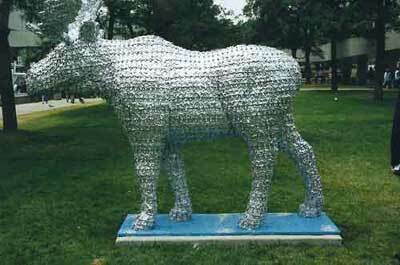 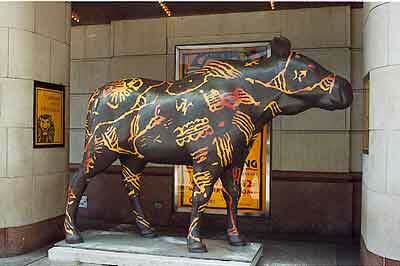 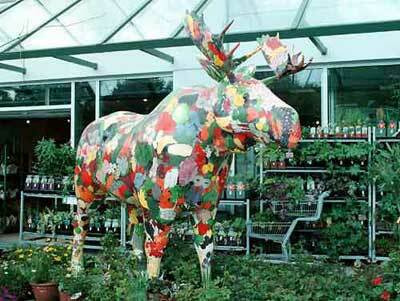 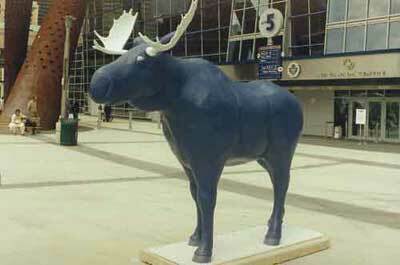 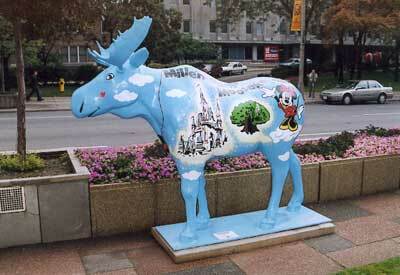 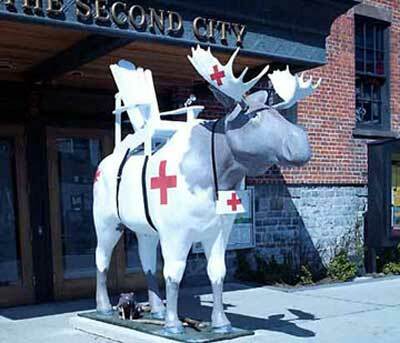 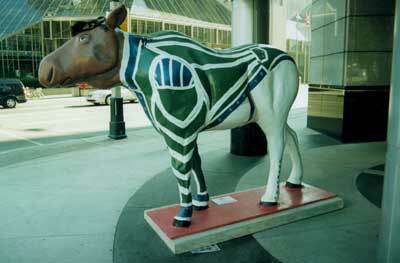 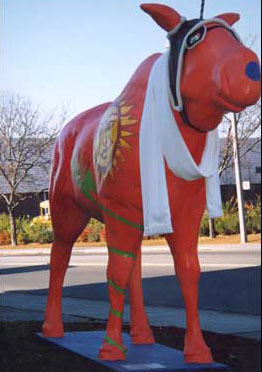 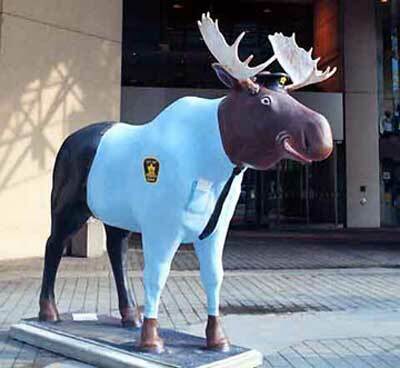 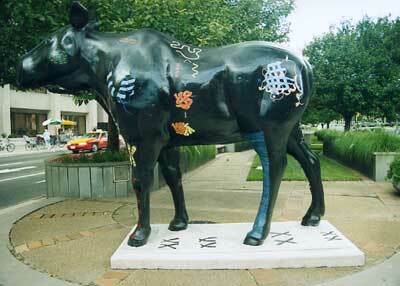 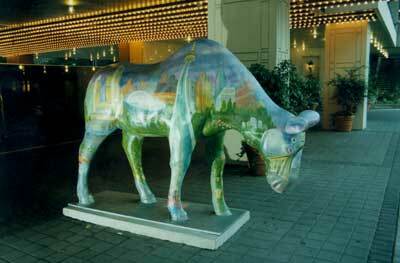 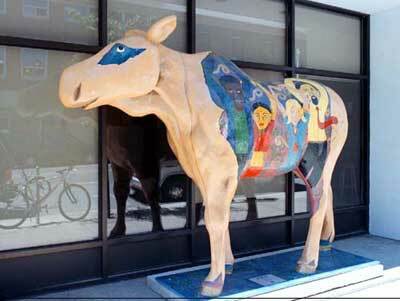 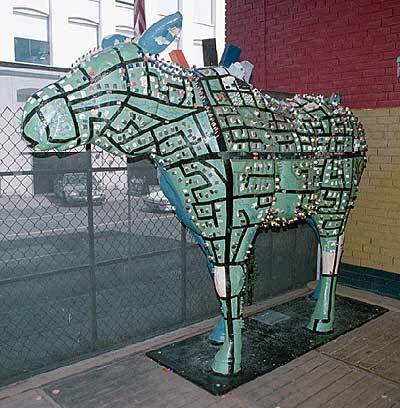 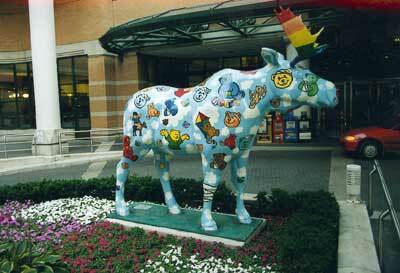 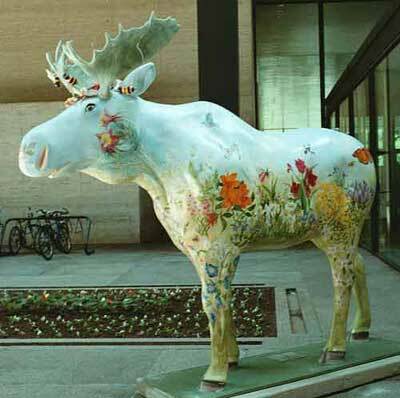 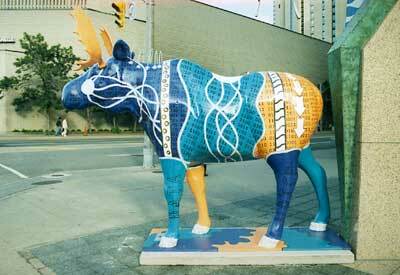 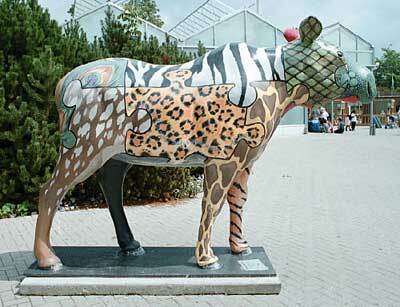 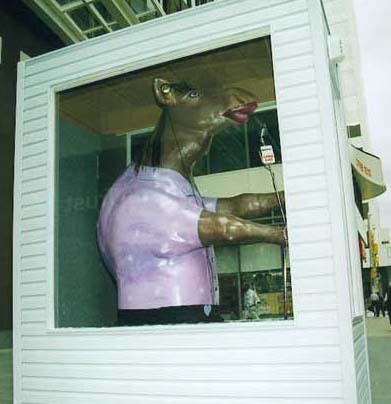 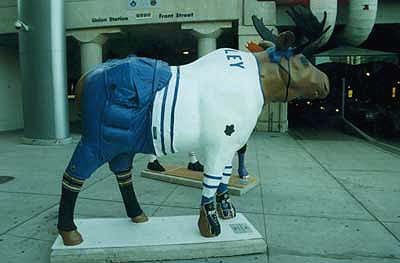 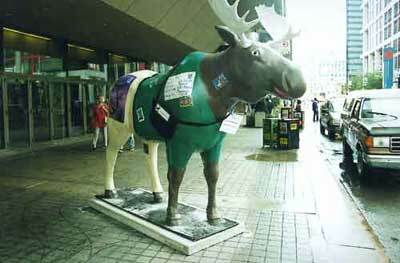 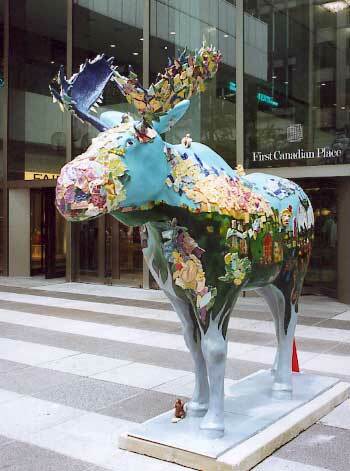 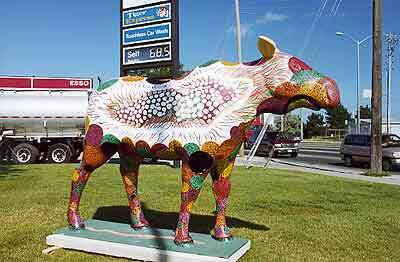 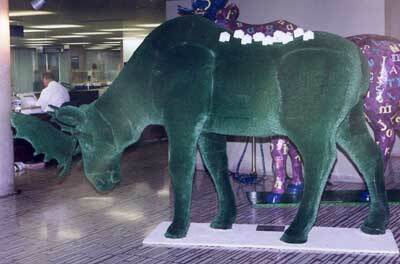 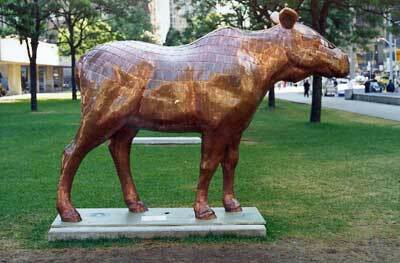 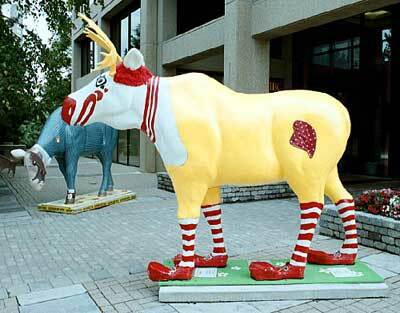 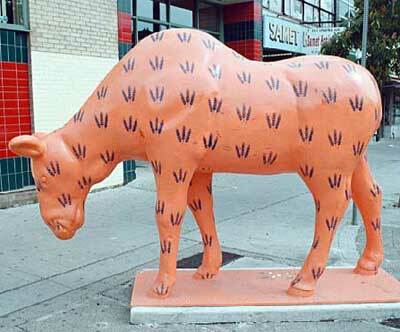 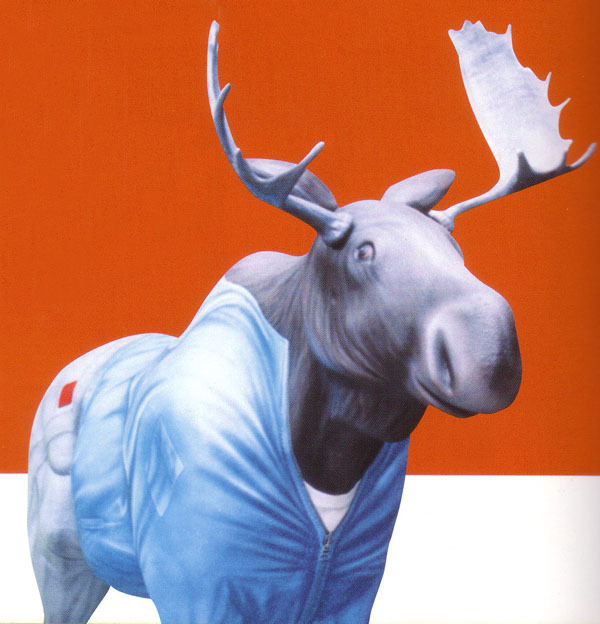 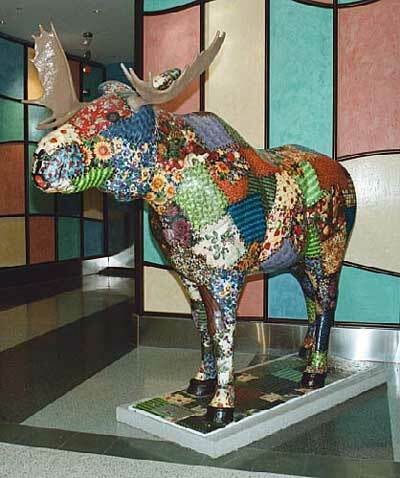 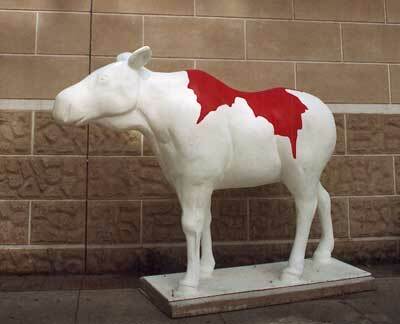 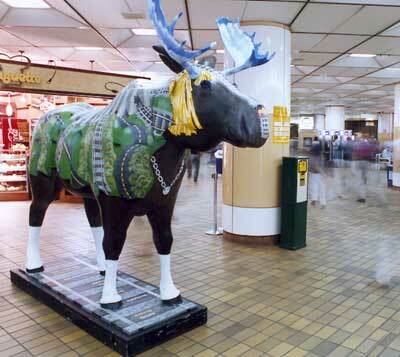 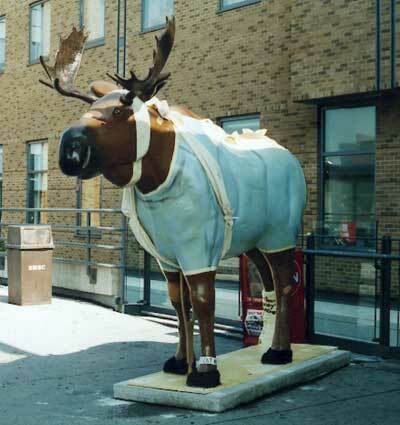 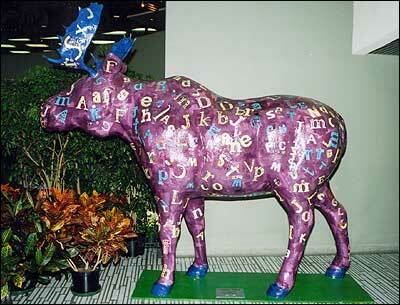 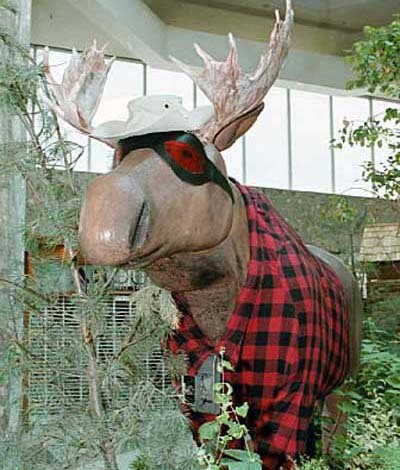 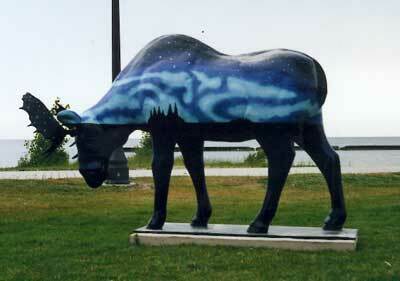 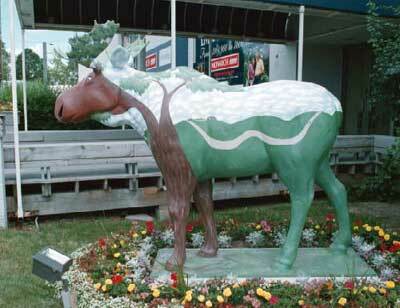 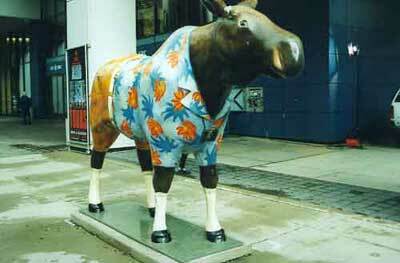 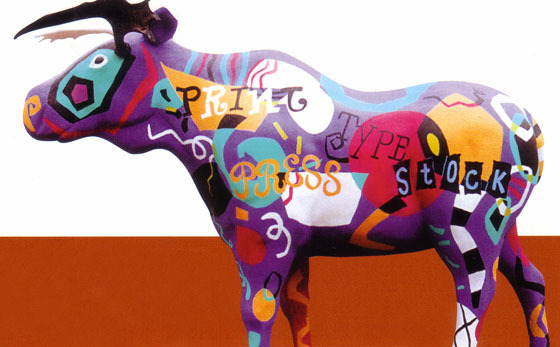 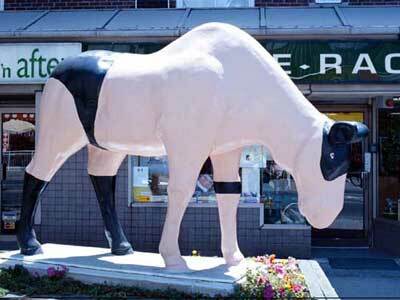 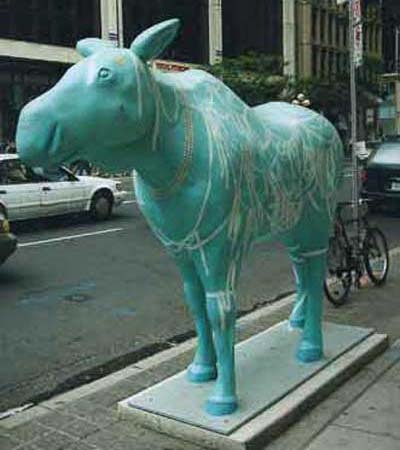 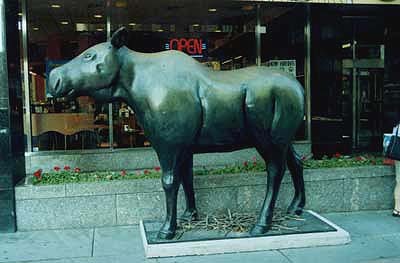 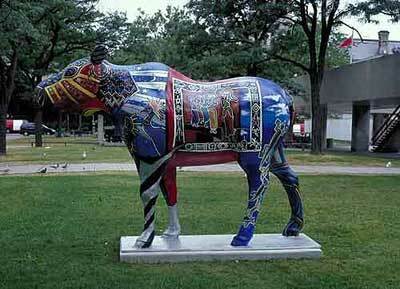 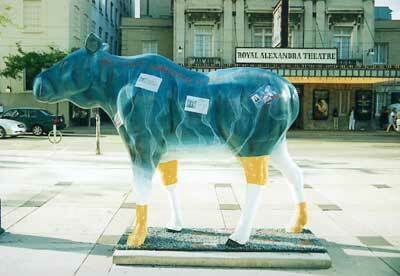 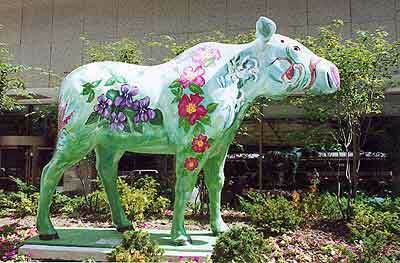 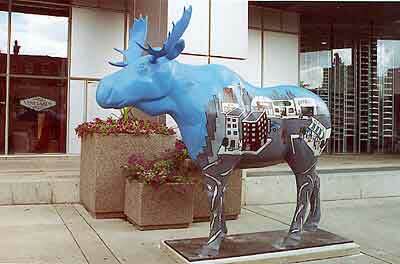 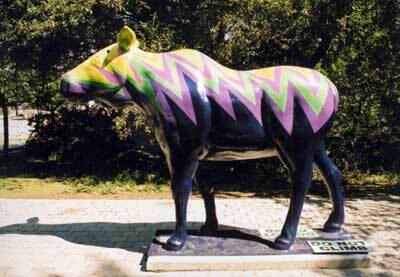 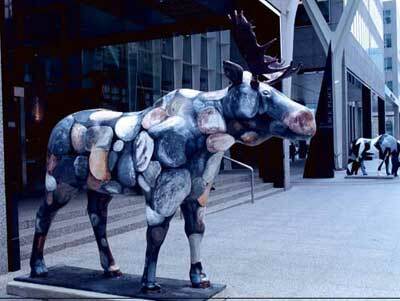 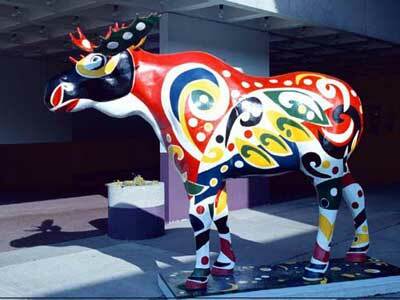 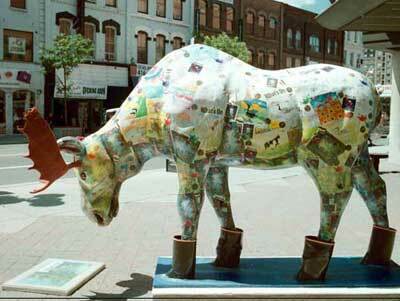 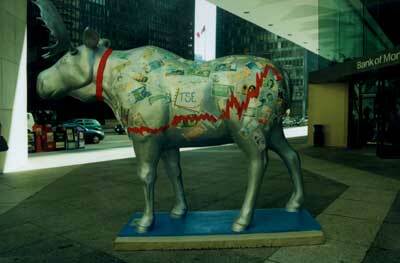 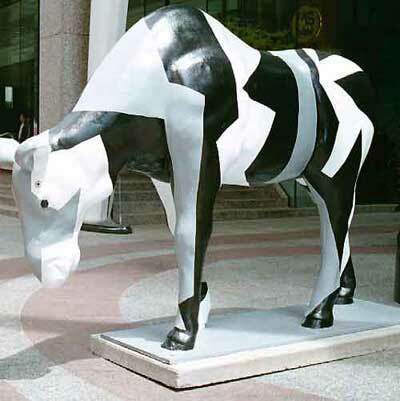 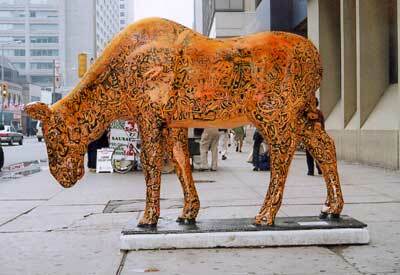 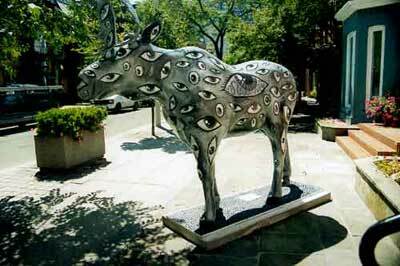 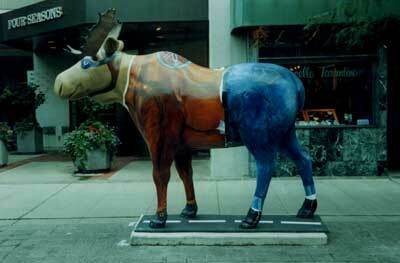 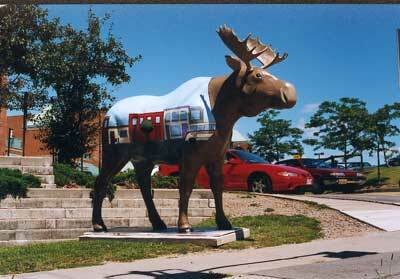 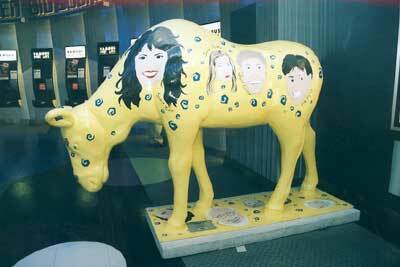 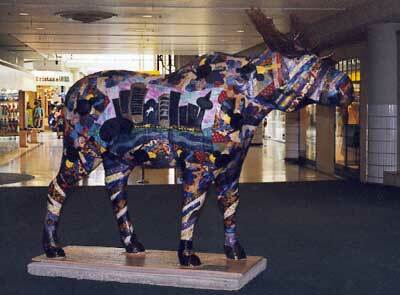 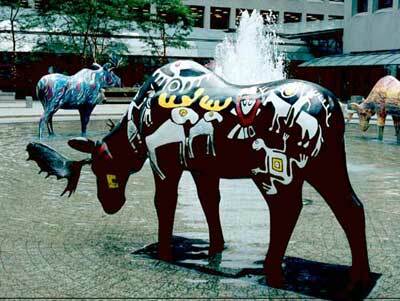 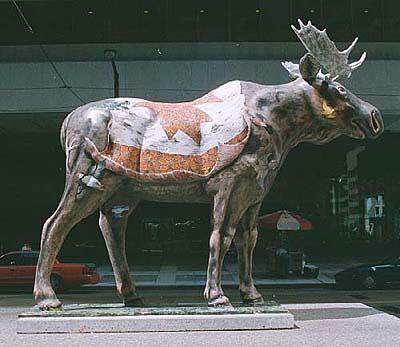 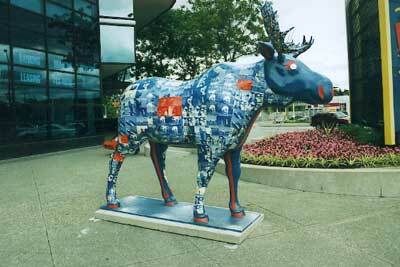 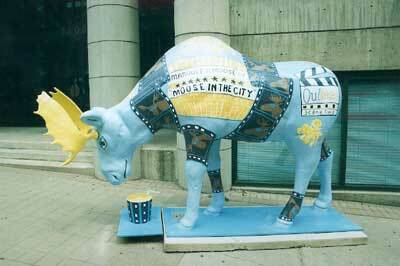 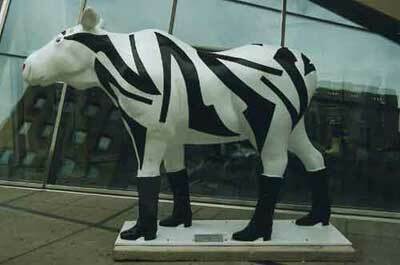 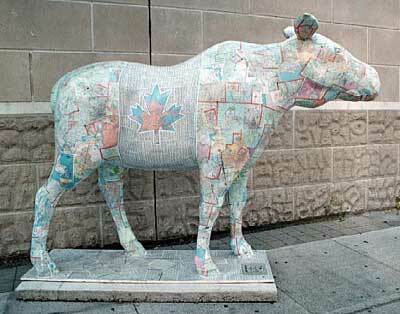 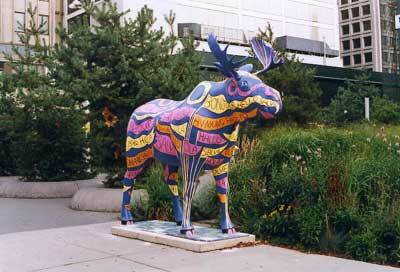 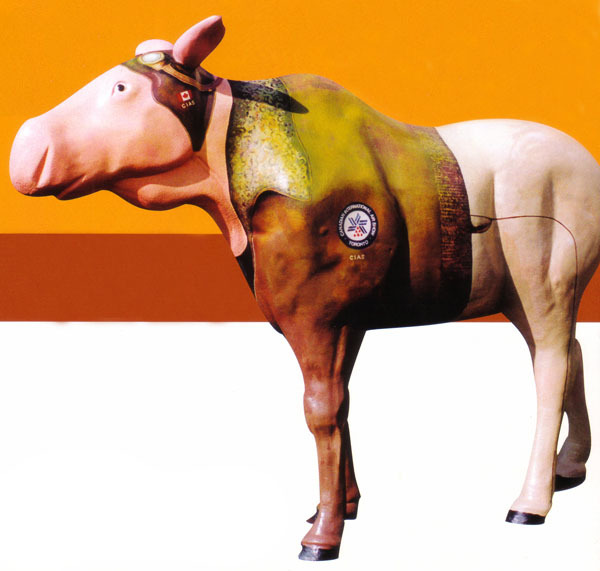 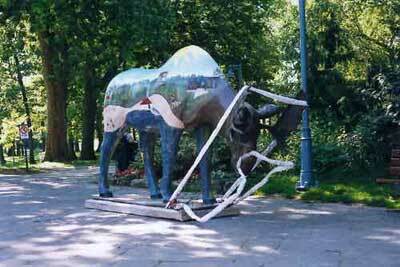 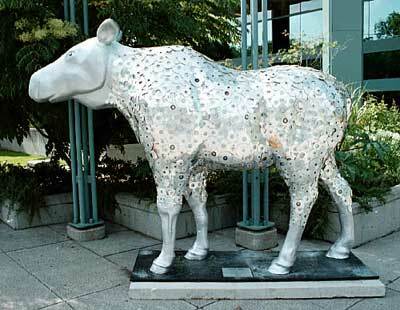 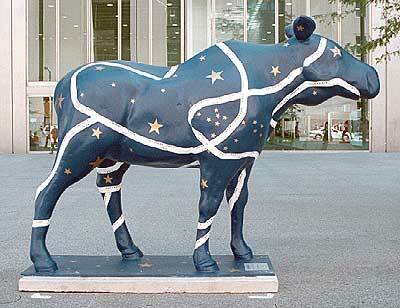 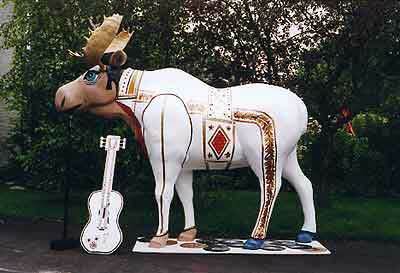 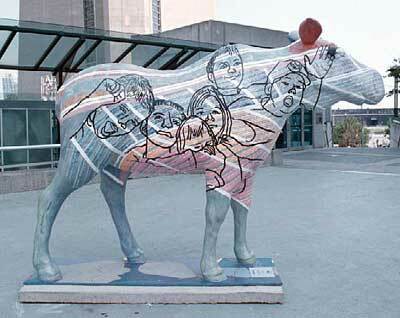 In 2000, more than 300 life sized moose sculptures roamed the city of Toronto. 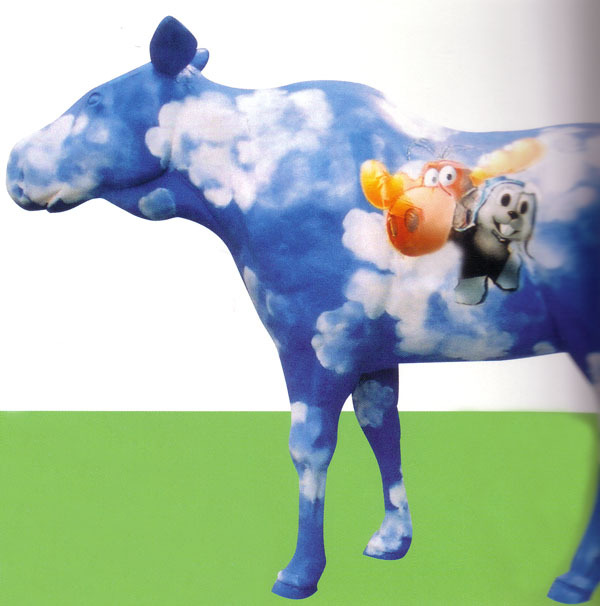 Where have they all gone? 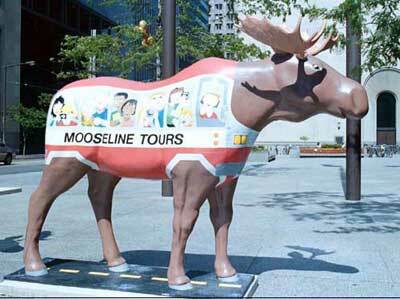 We're on the search for the elusive moose. 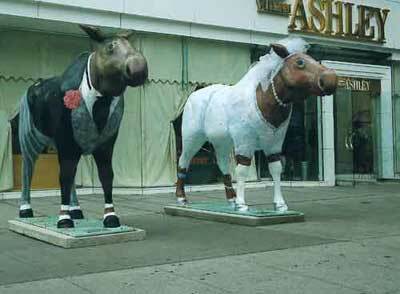 Do you know where they are? 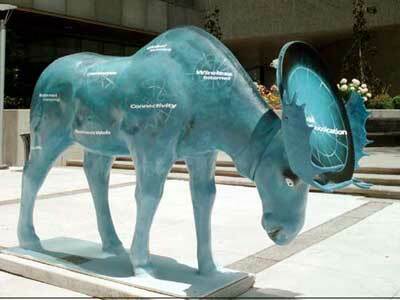 Be part of the search. 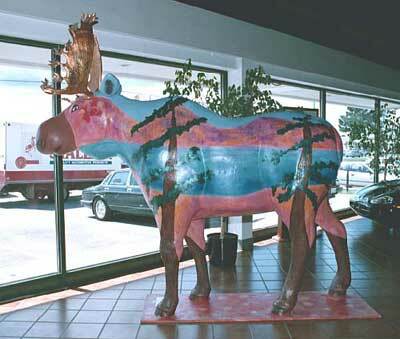 Down By The Bay "Did You Ever See A Moose..."
Go Stand By The Moose...And Smile Honey! 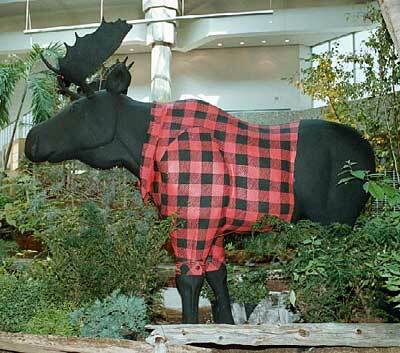 Is That Your Final Antler? 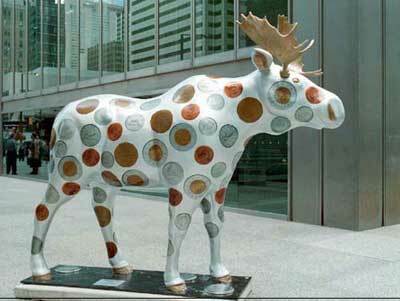 What Is A Moose Who Has No Landscape? 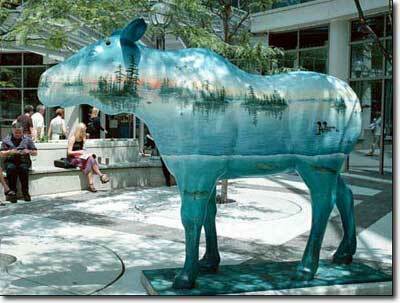 Where, Oh Where Has The Wilderness Gone?